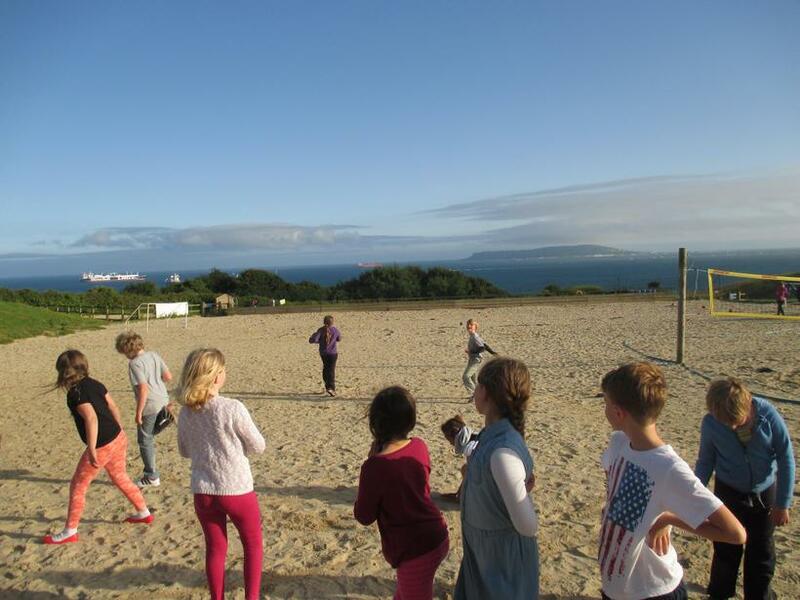 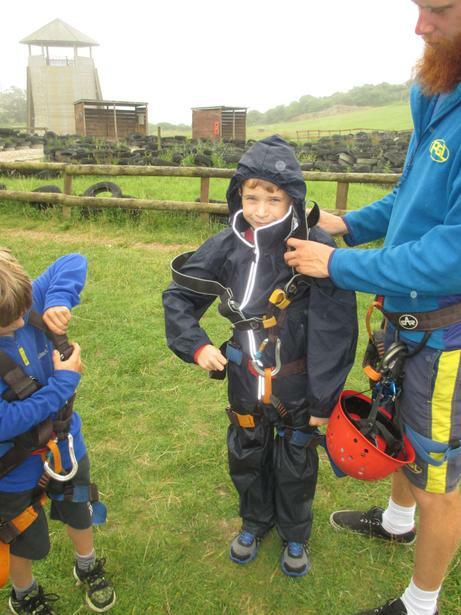 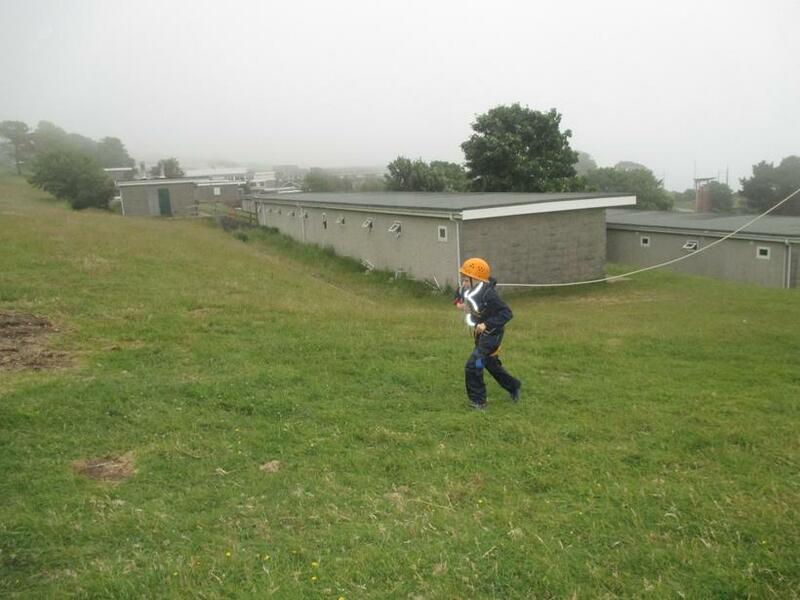 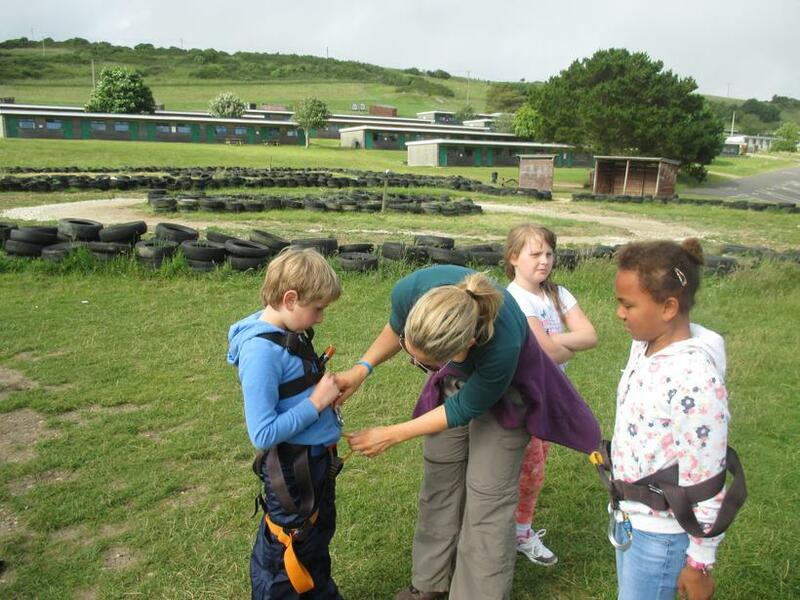 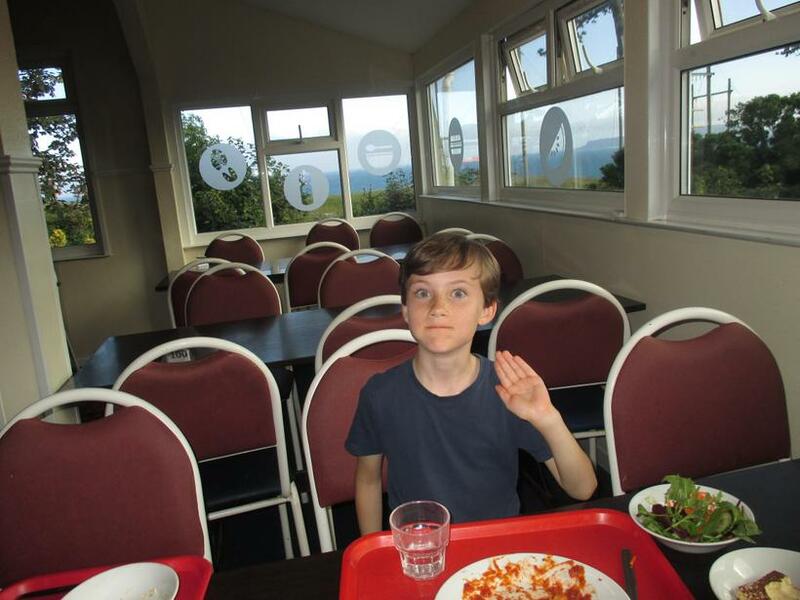 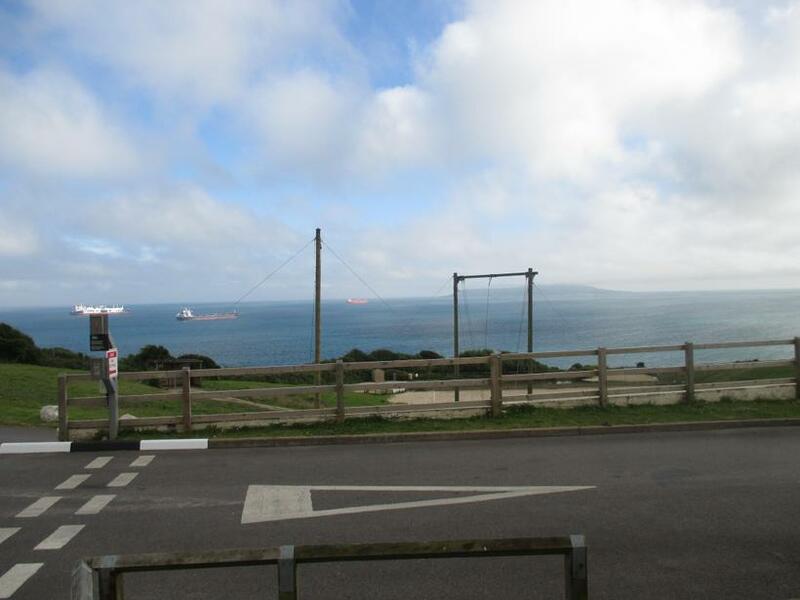 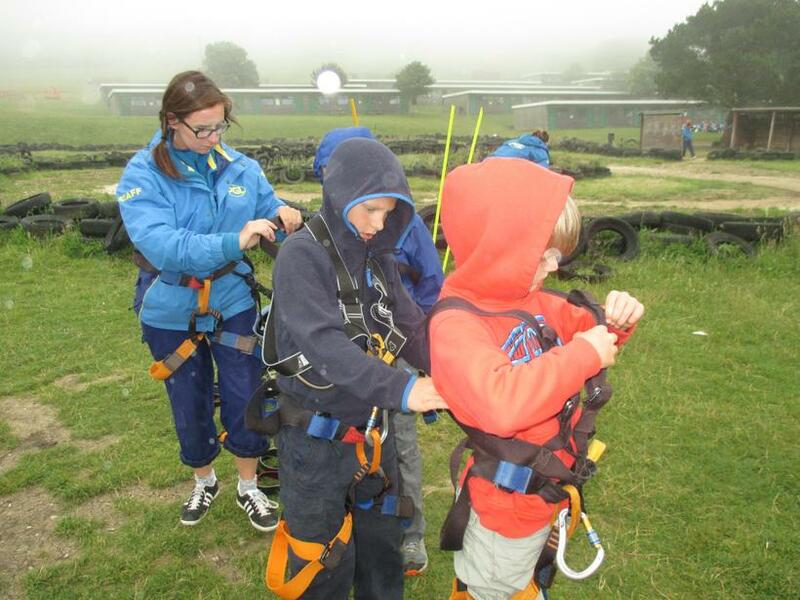 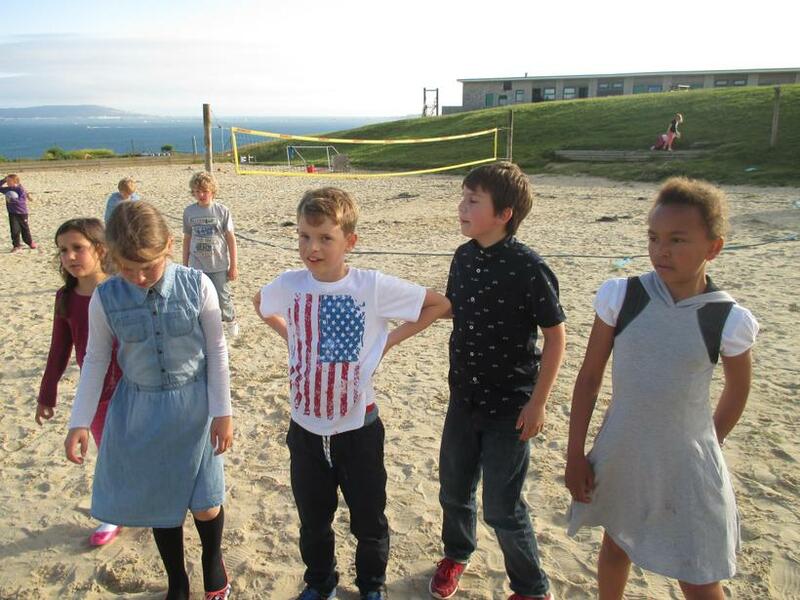 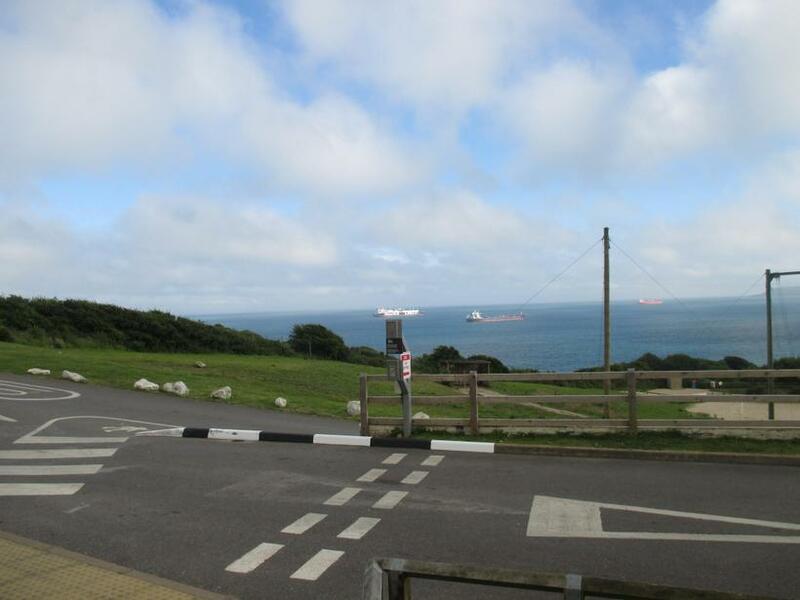 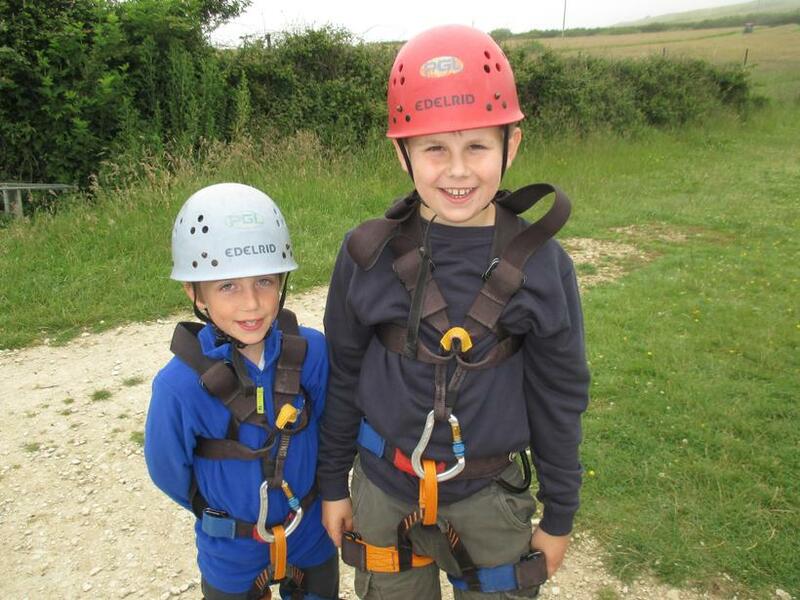 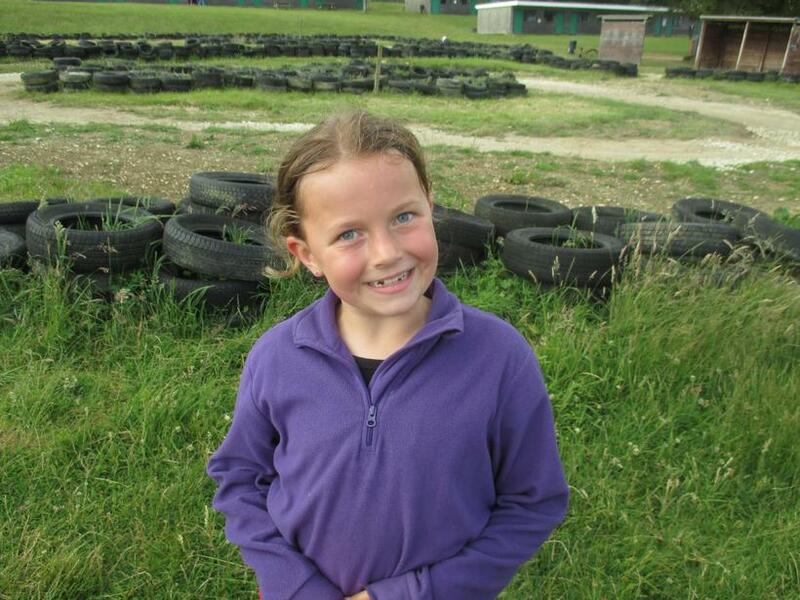 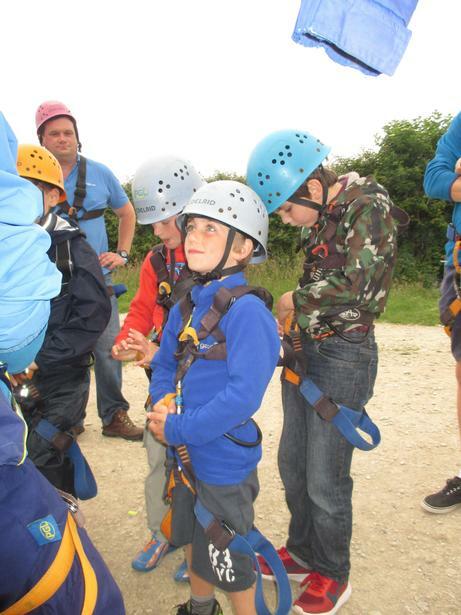 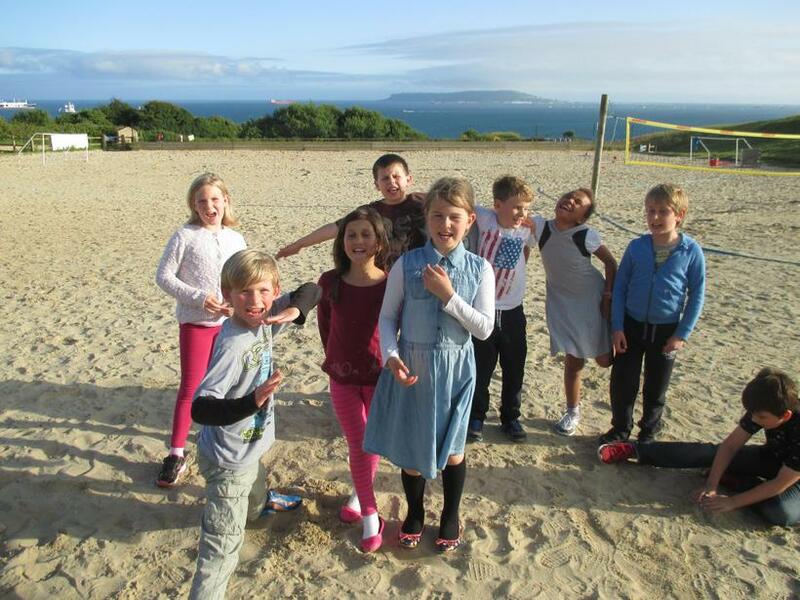 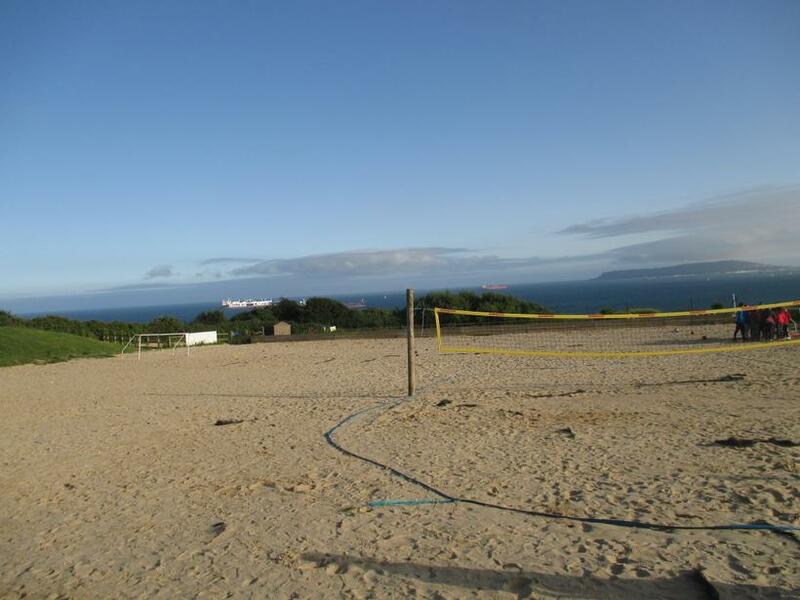 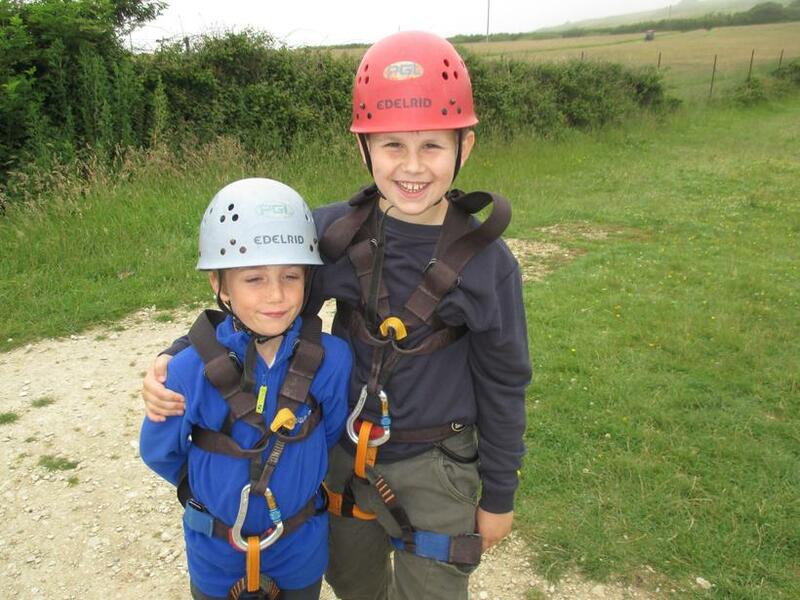 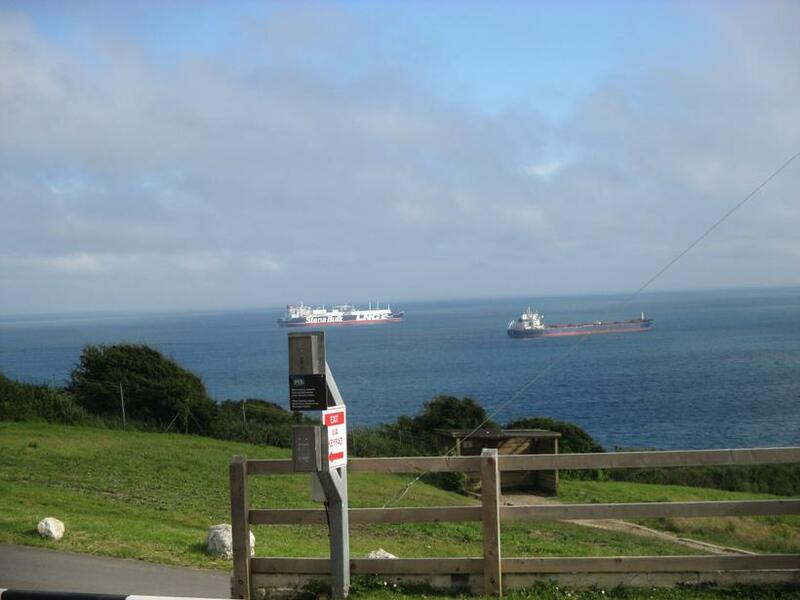 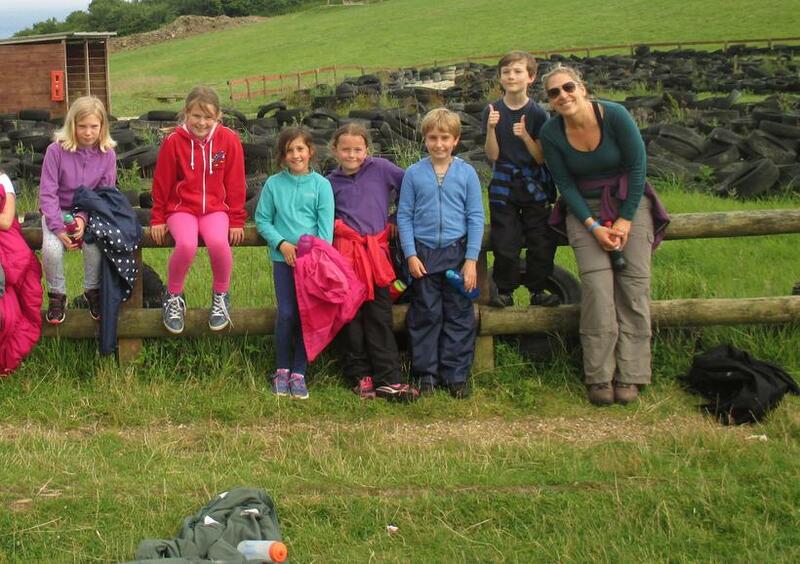 Year 4 Arrive in Osmington Bay! 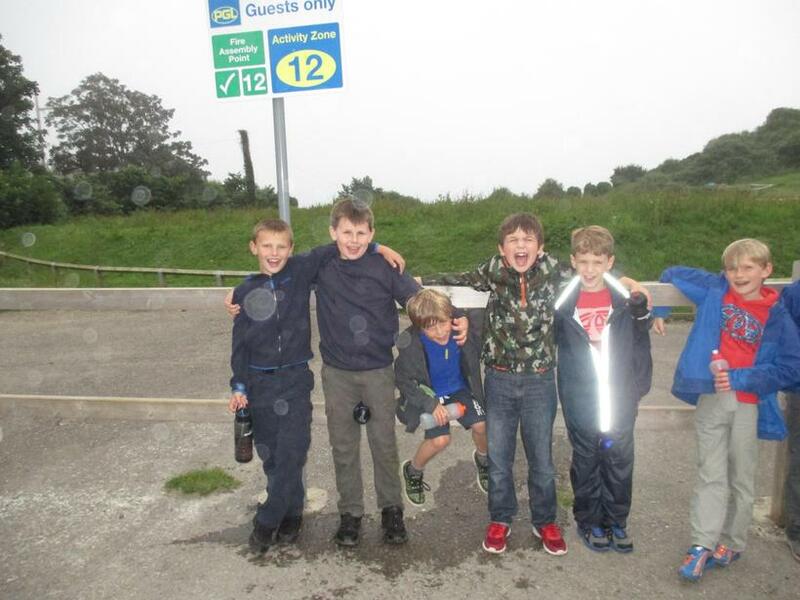 After much excitement, and several choruses of 'Are we nearly there yet?' 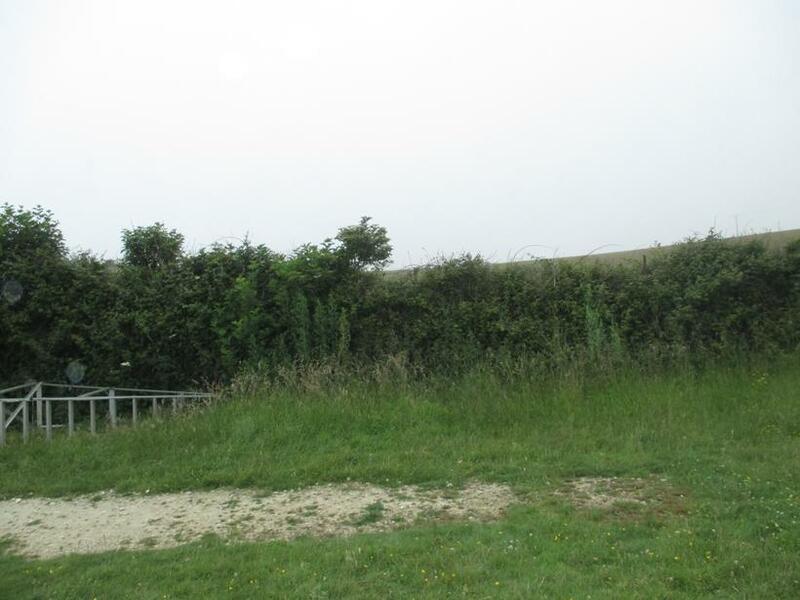 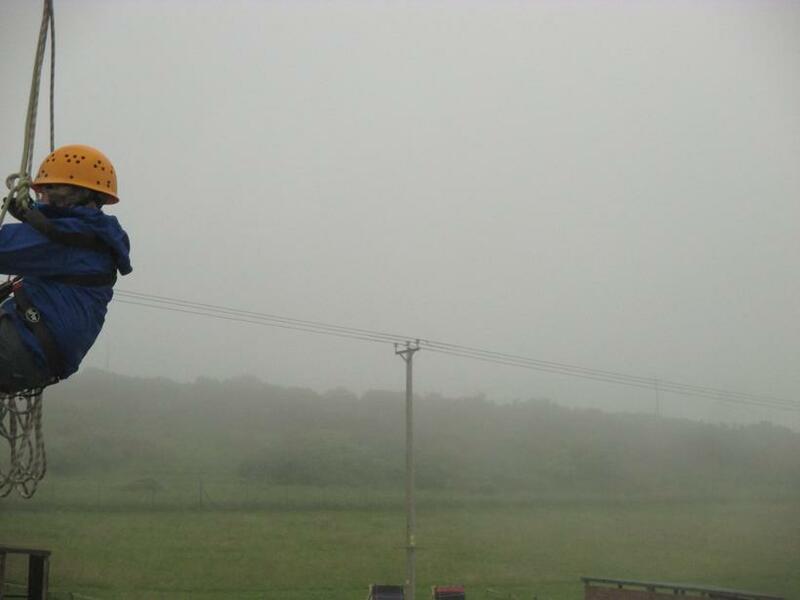 we finally arrived to rather misty Osmington Bay! 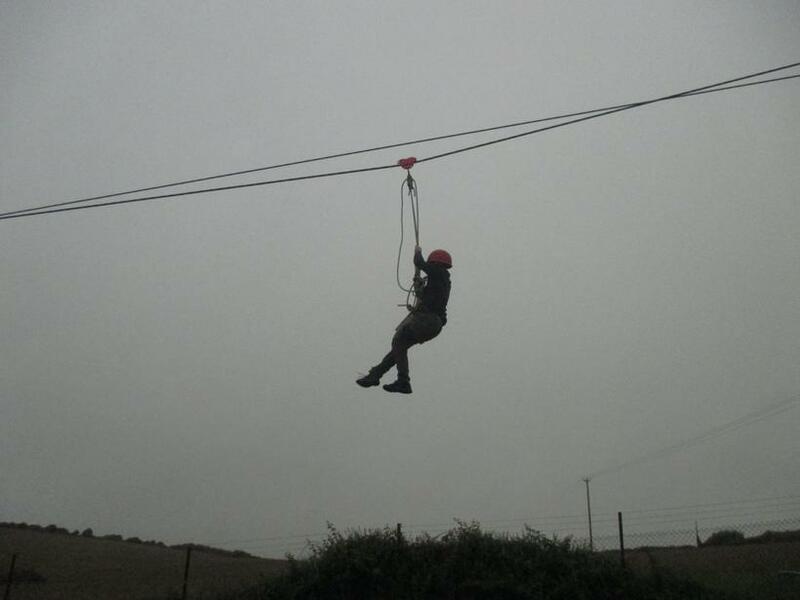 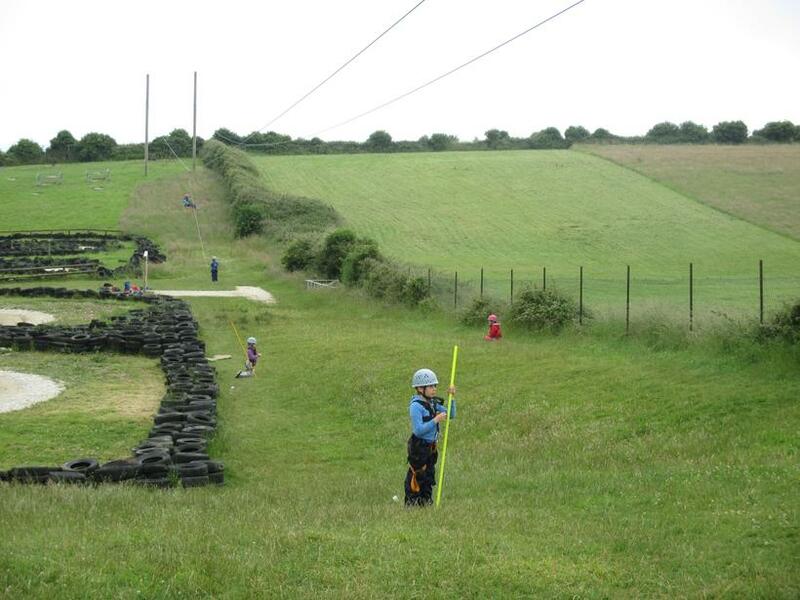 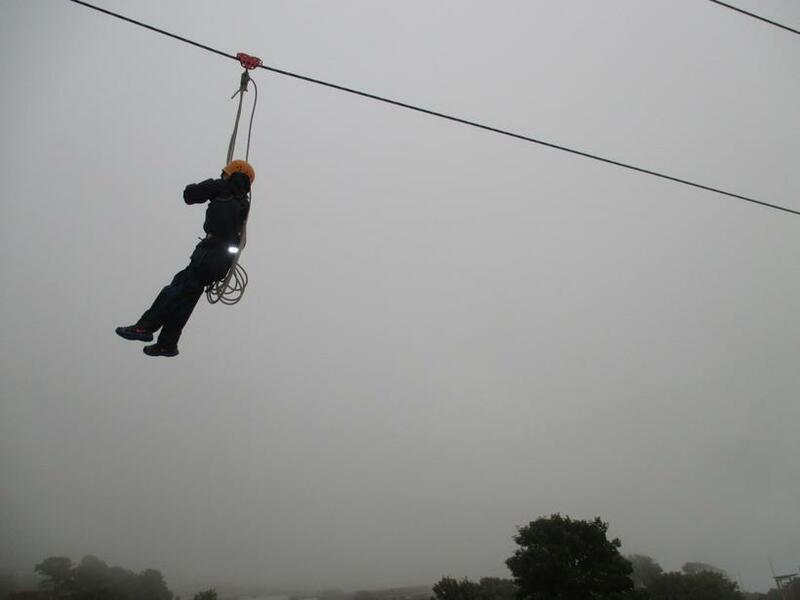 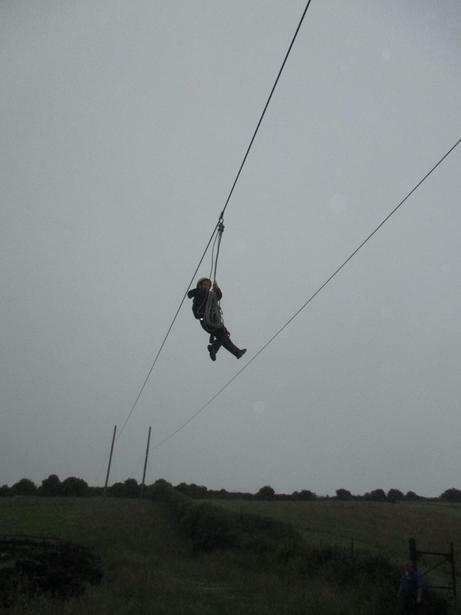 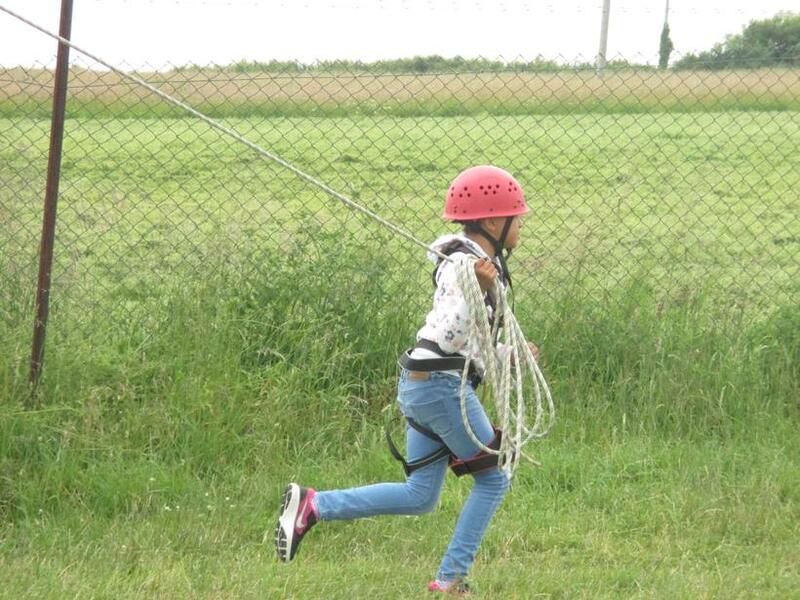 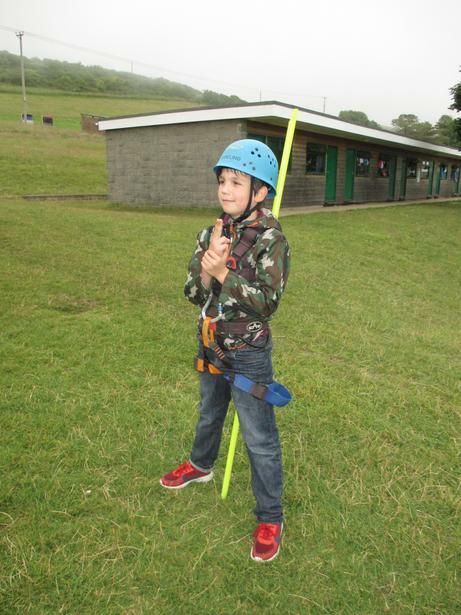 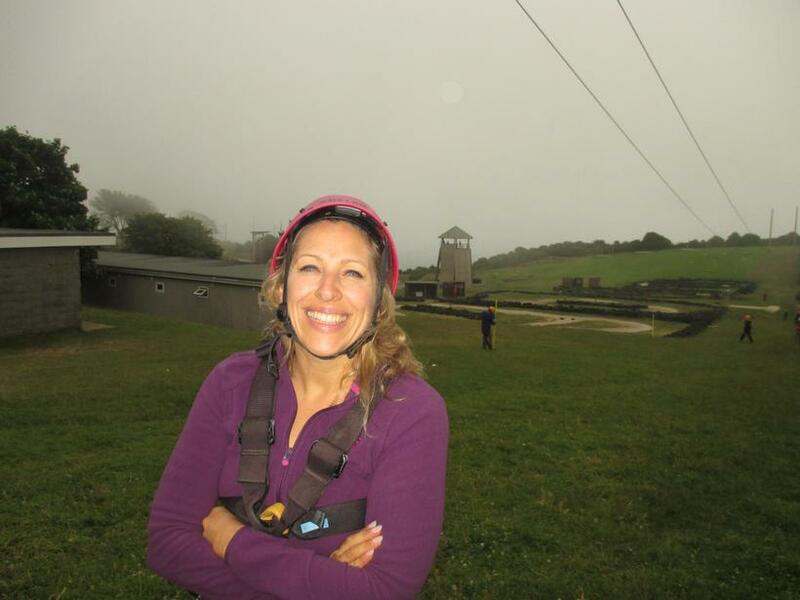 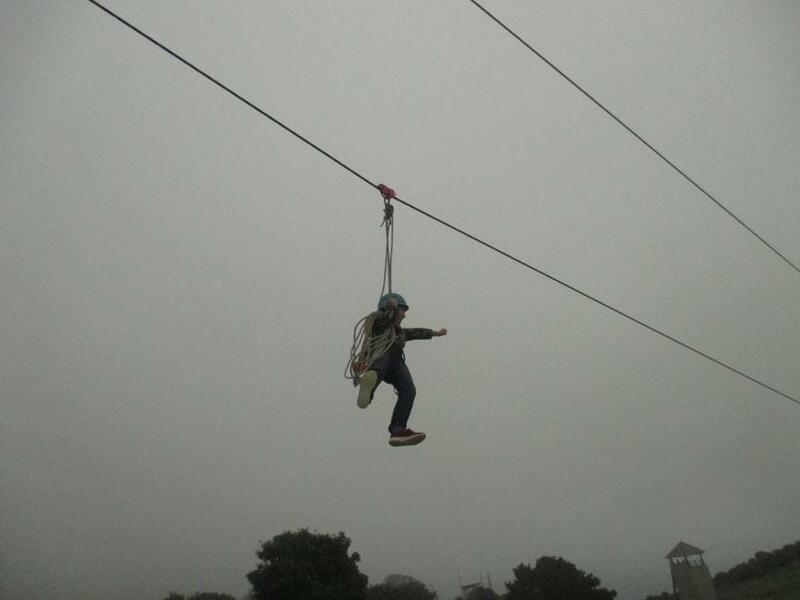 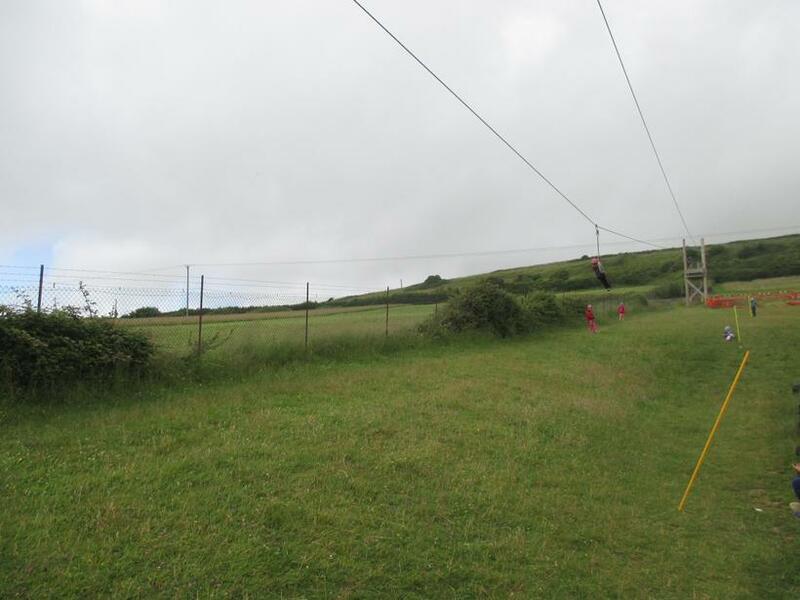 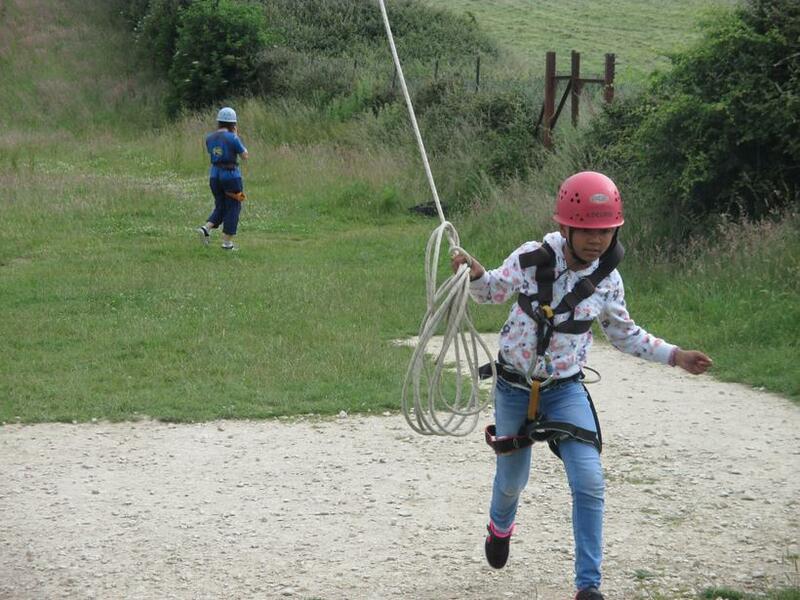 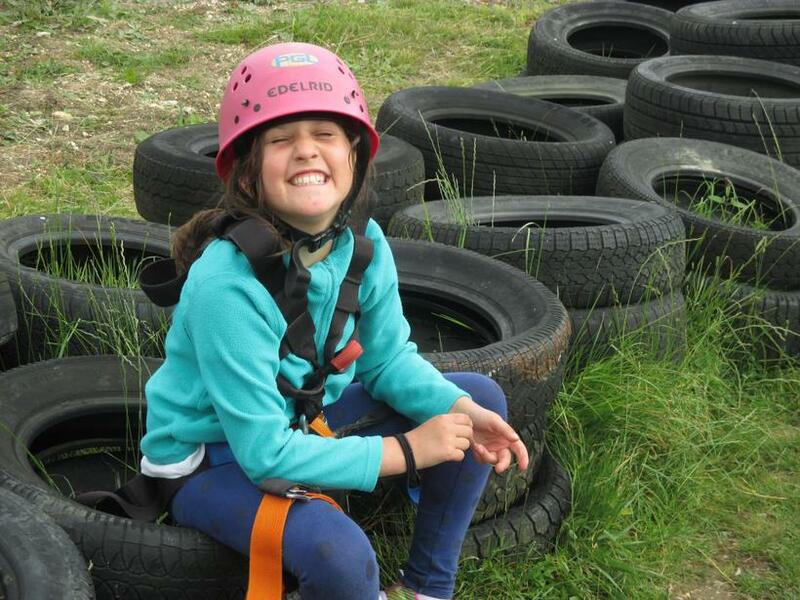 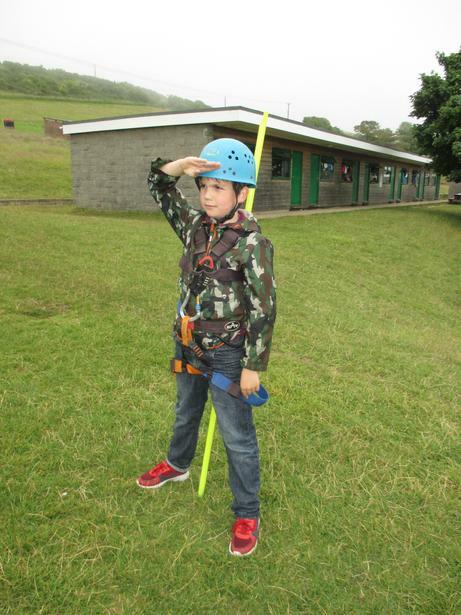 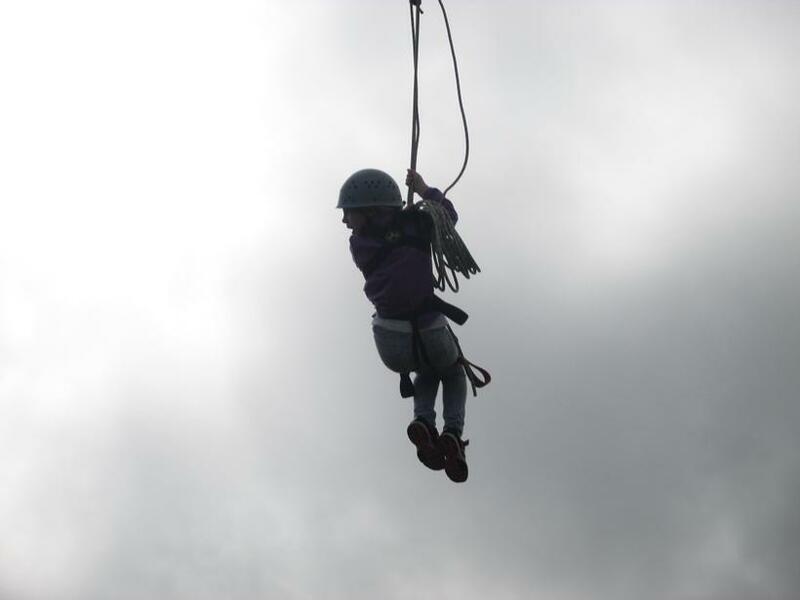 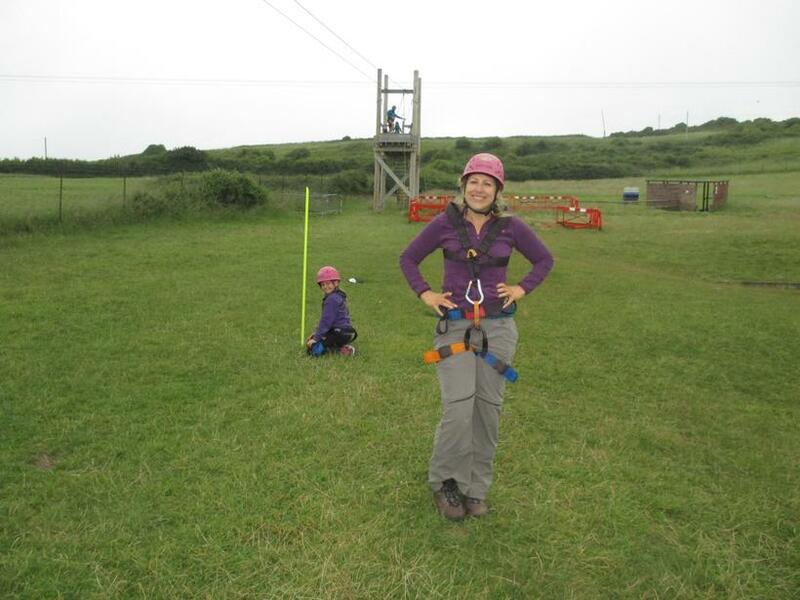 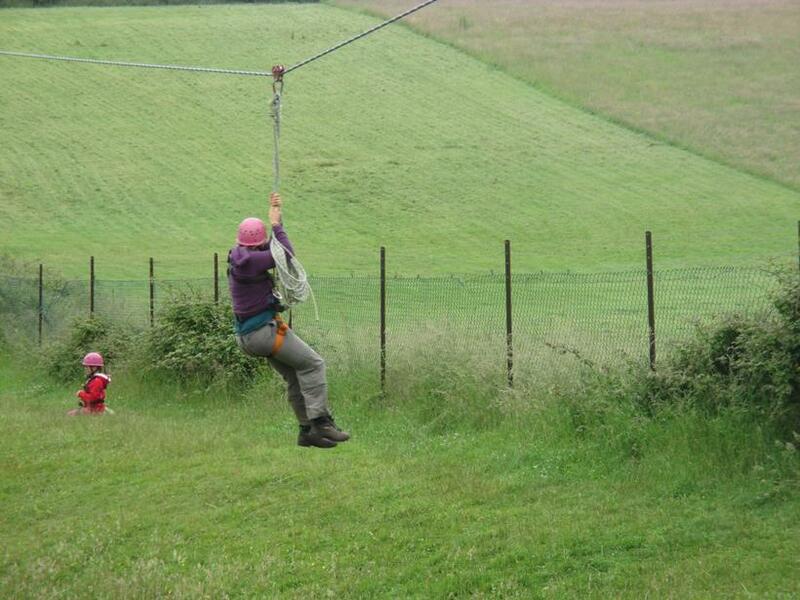 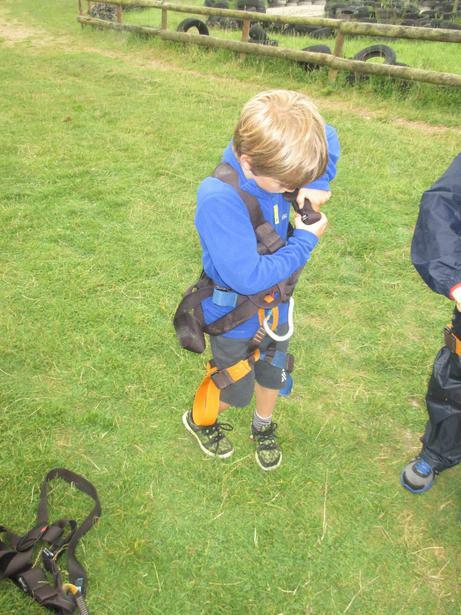 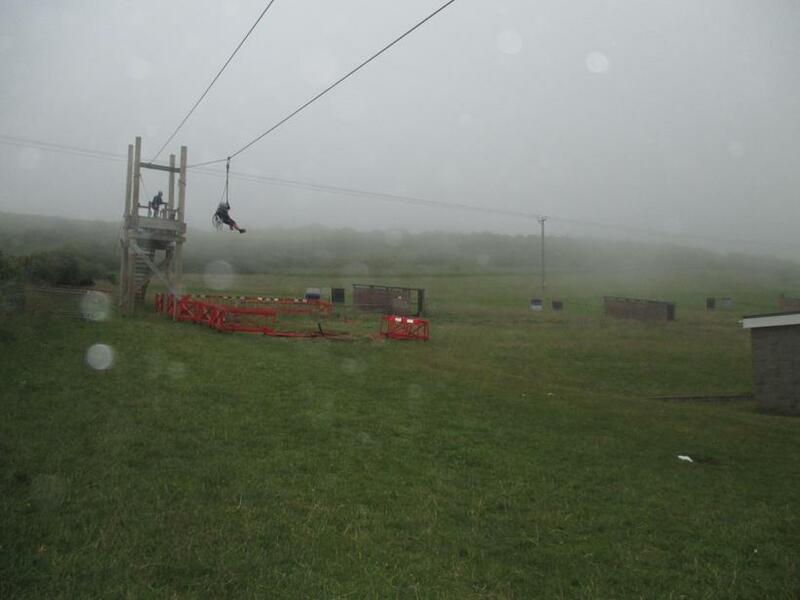 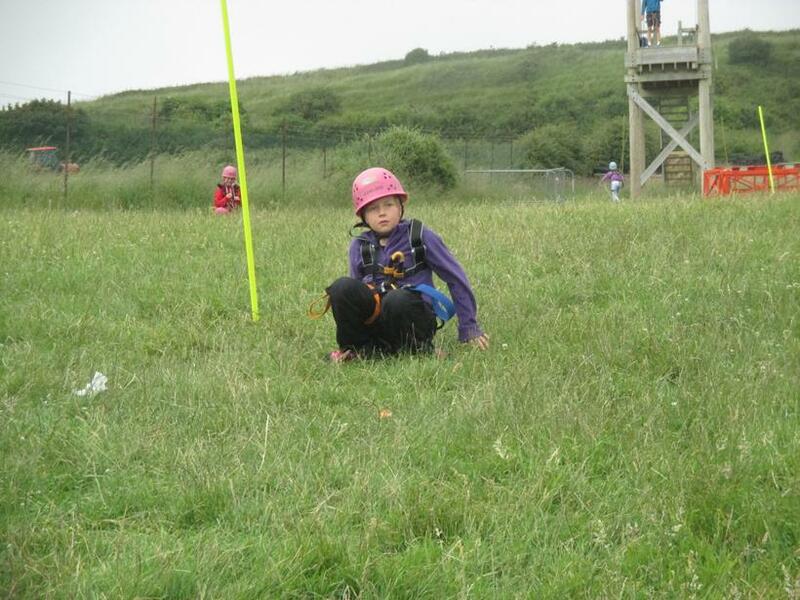 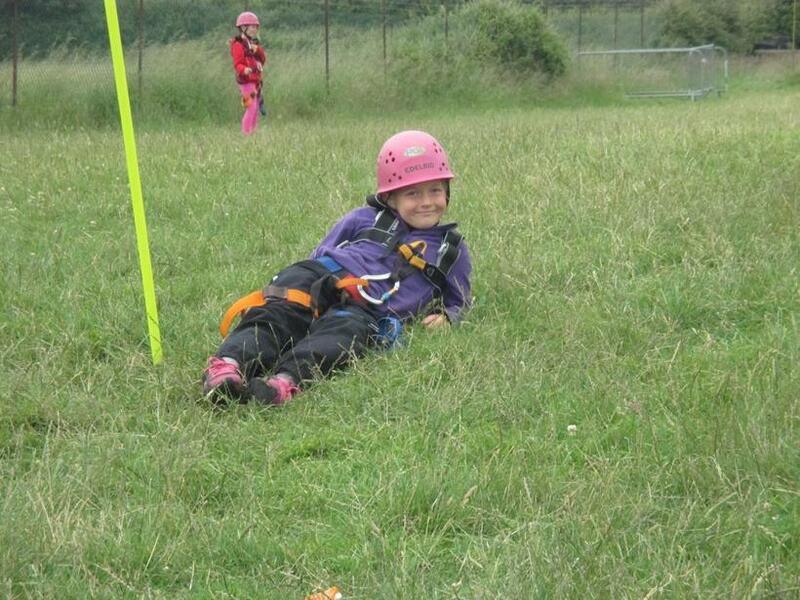 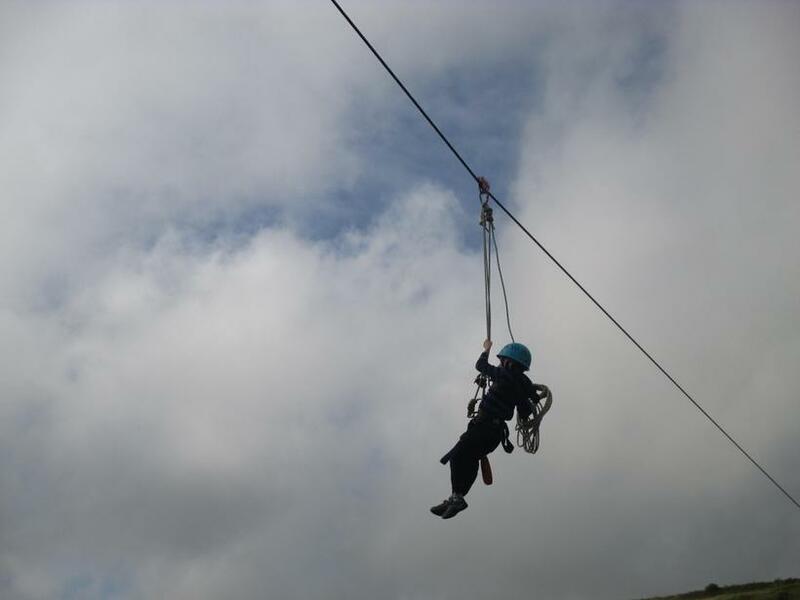 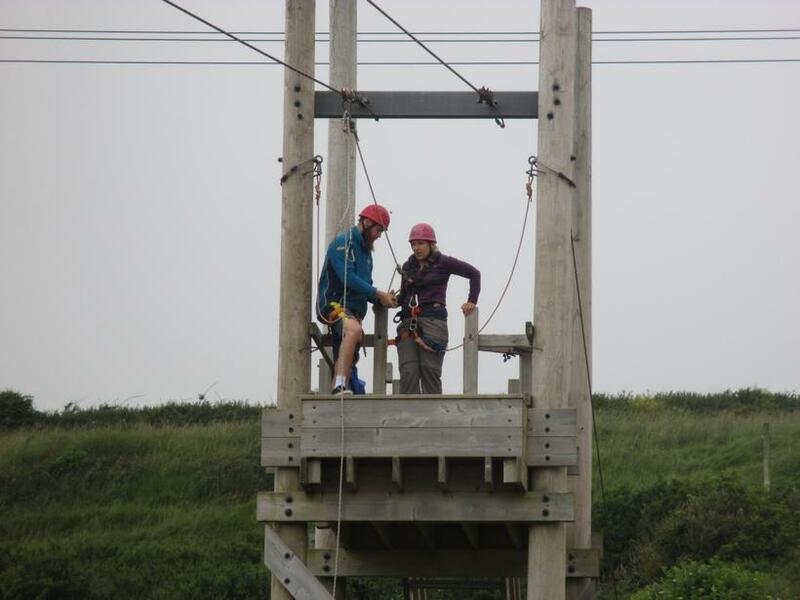 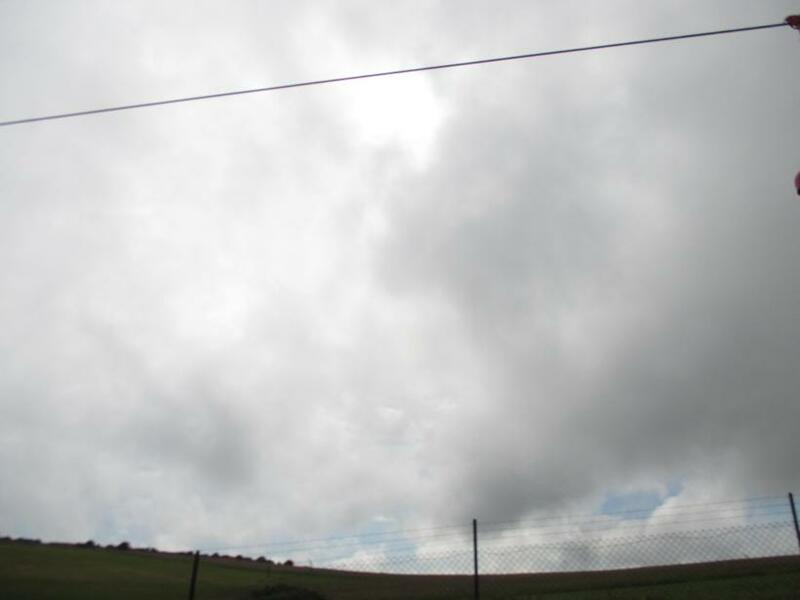 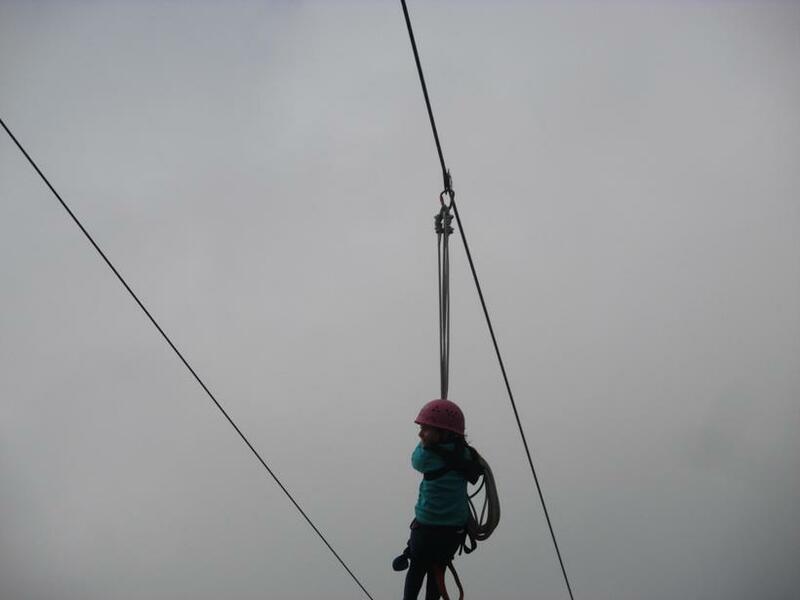 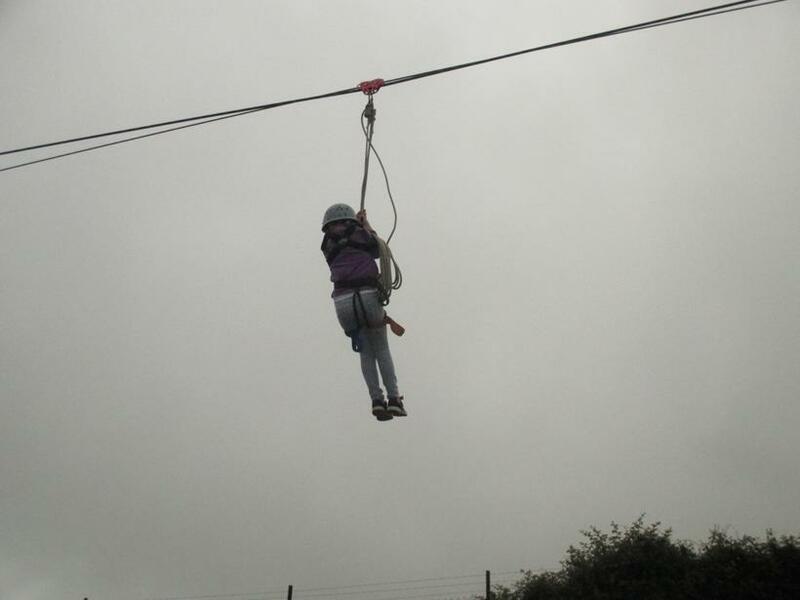 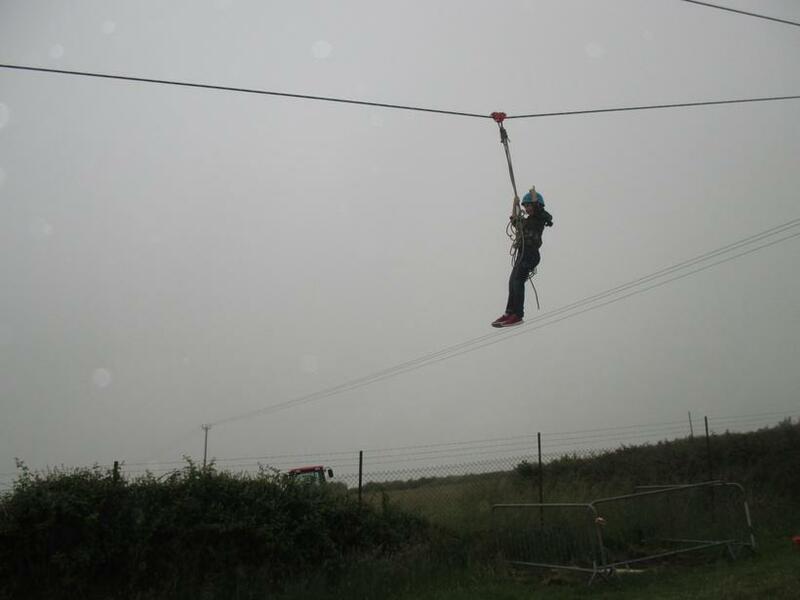 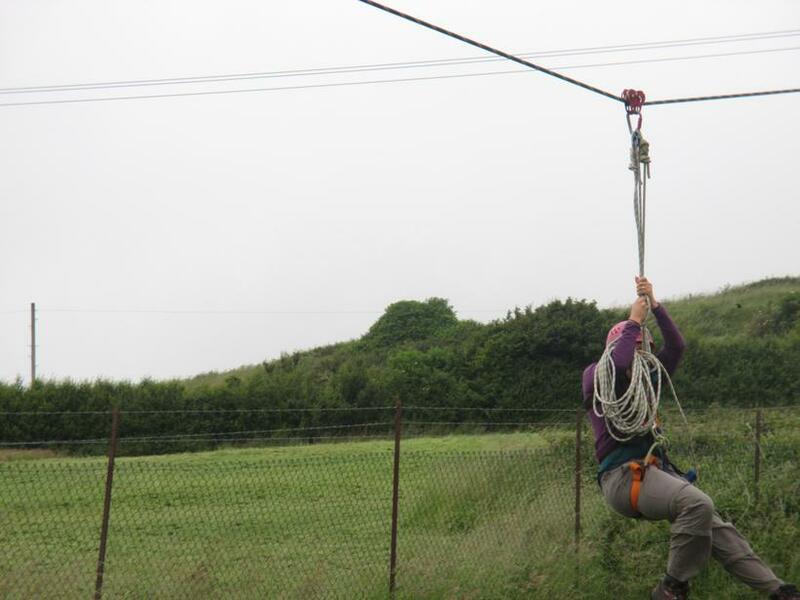 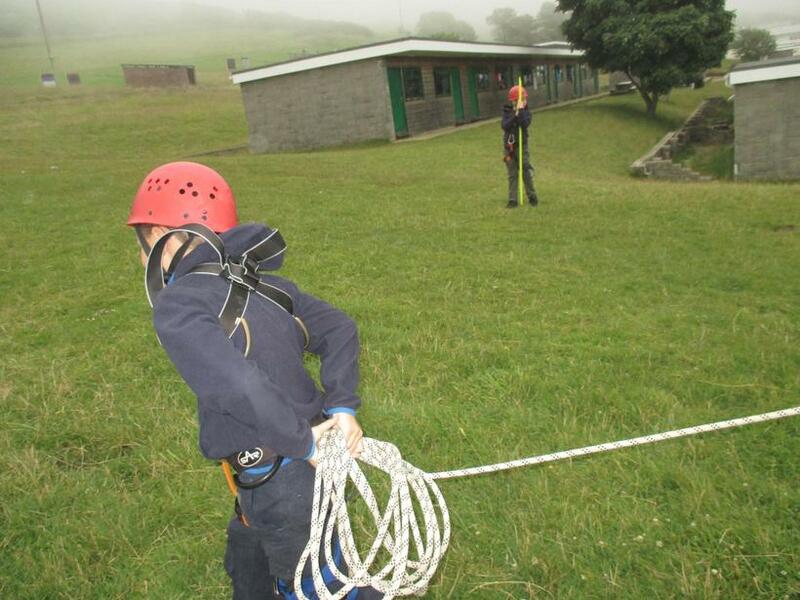 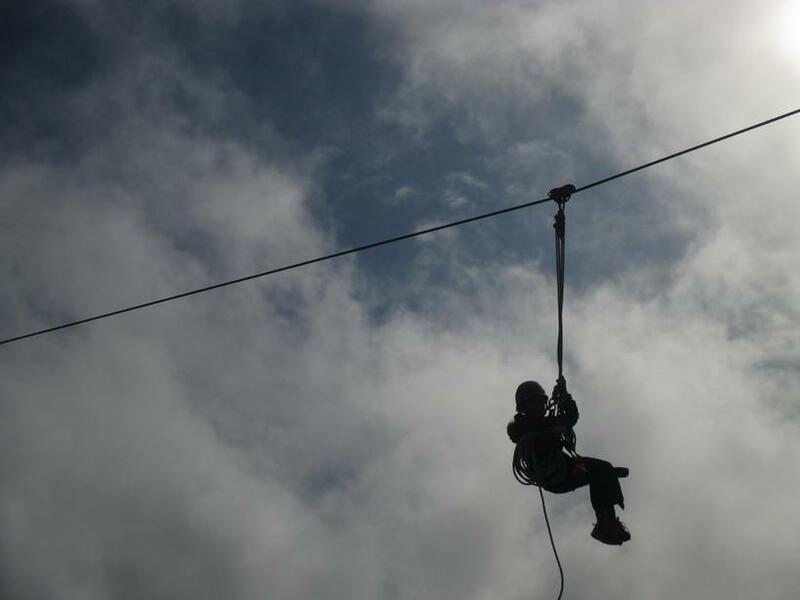 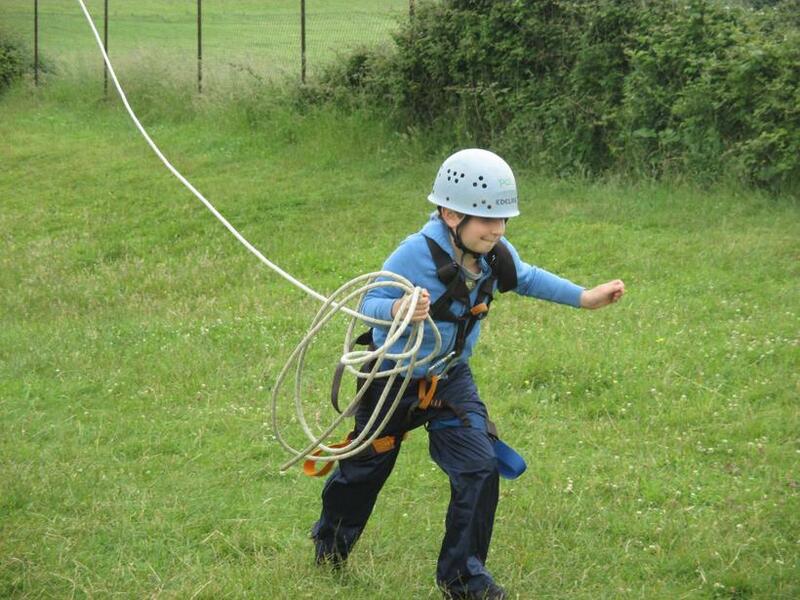 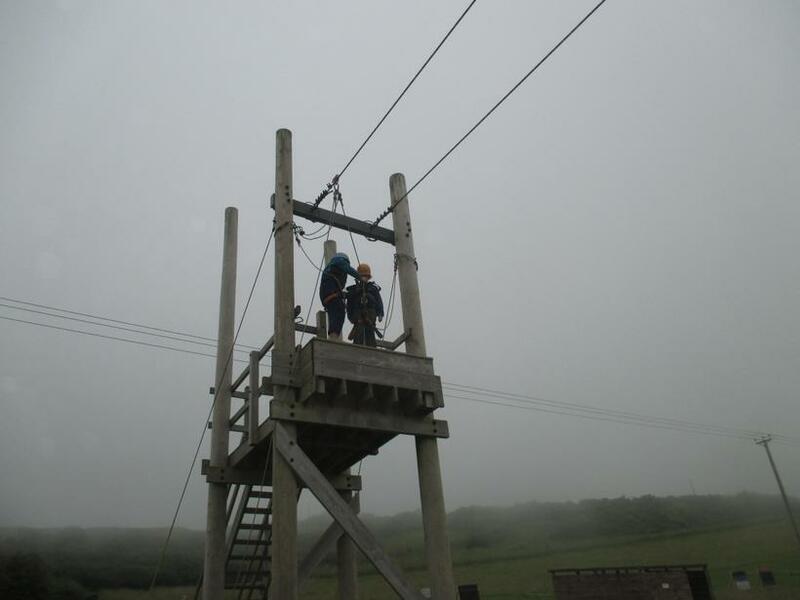 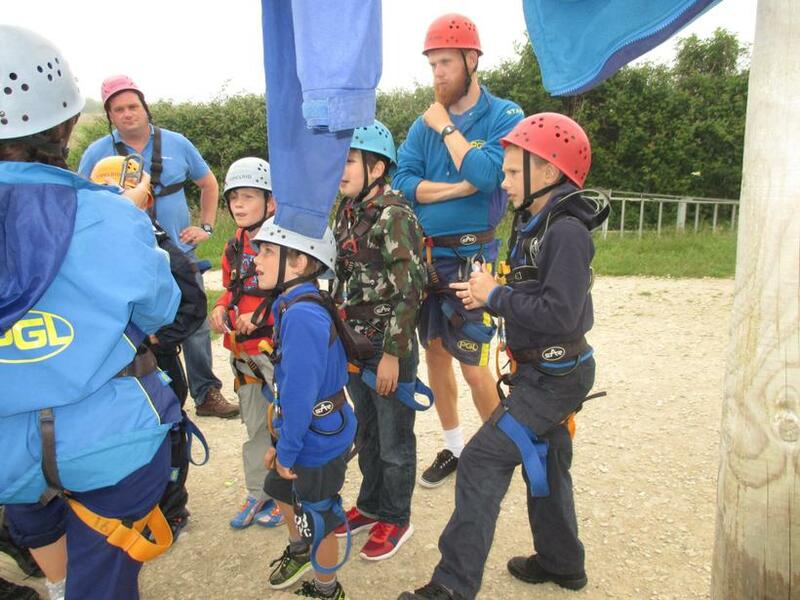 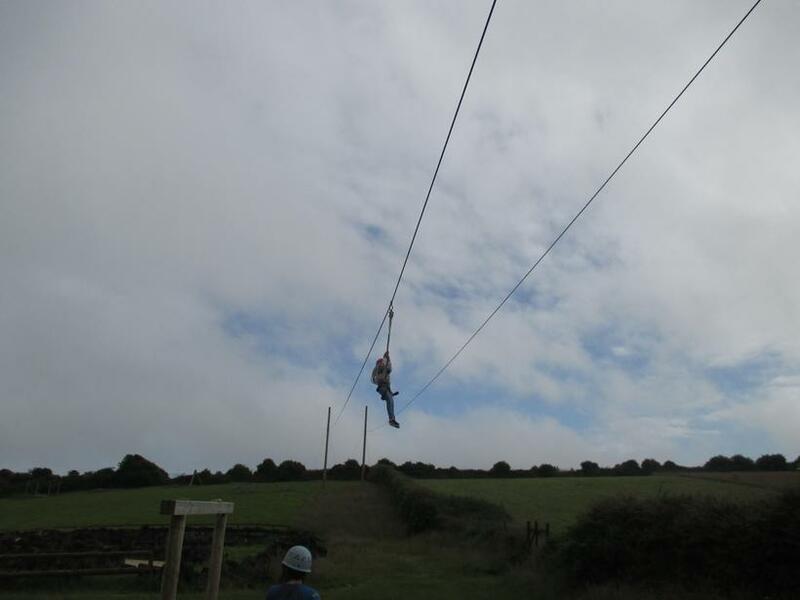 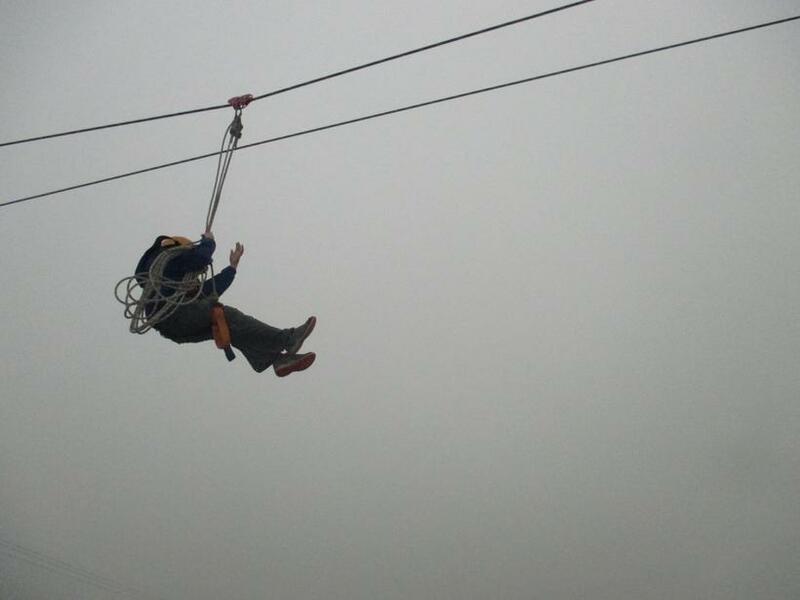 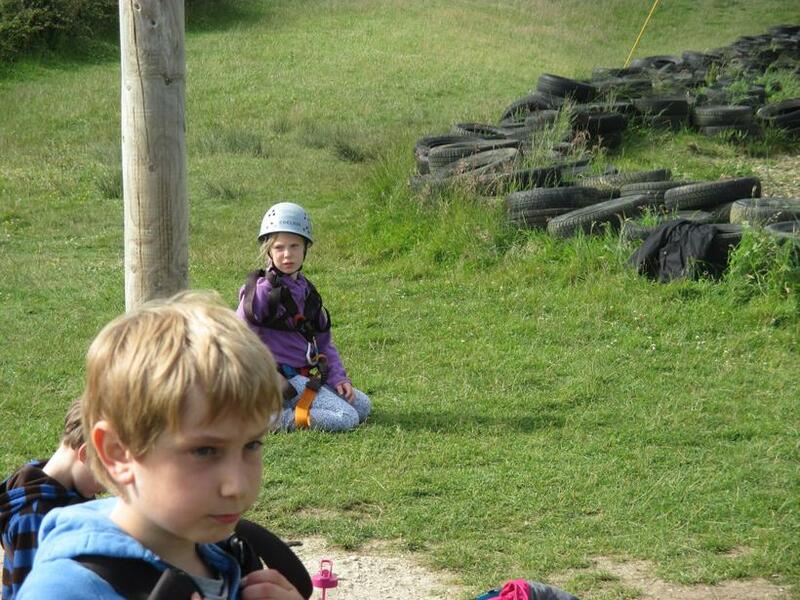 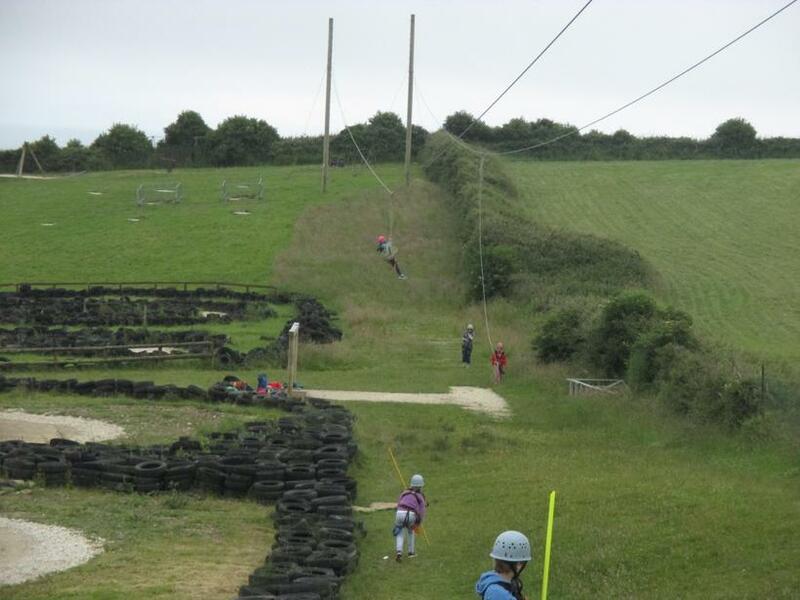 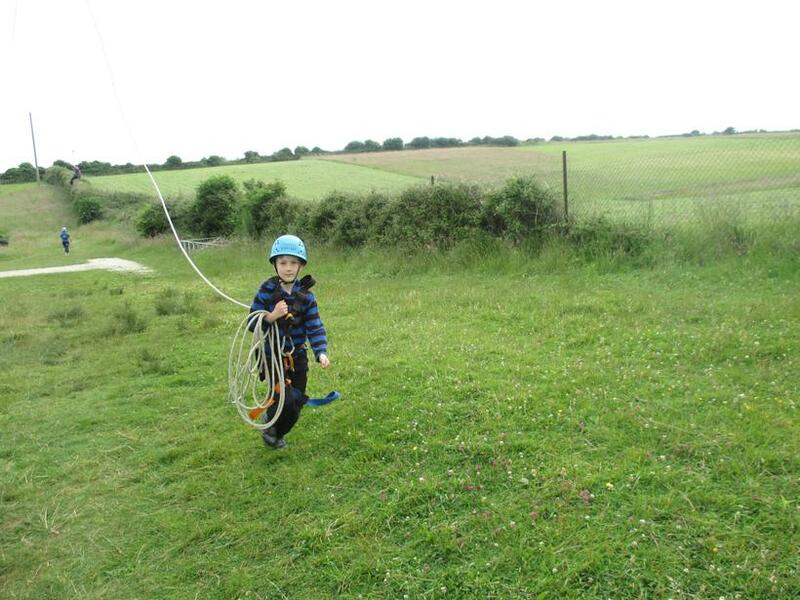 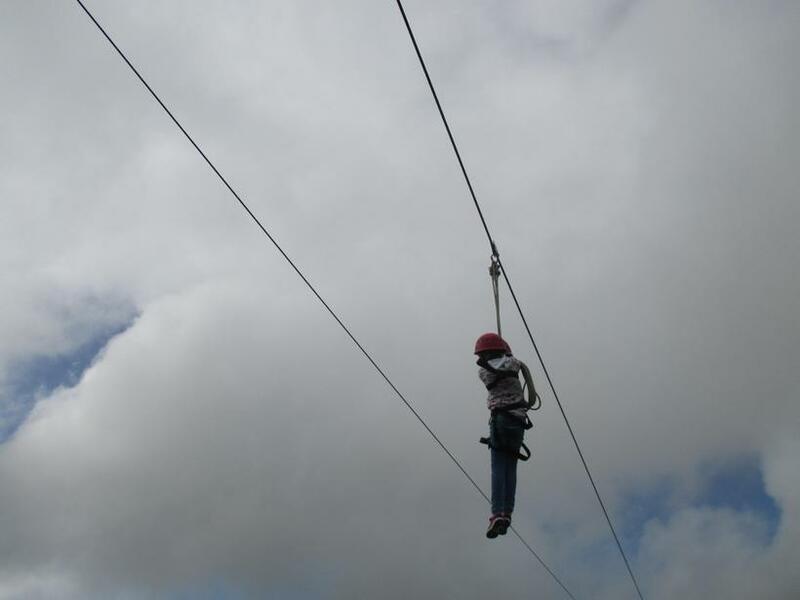 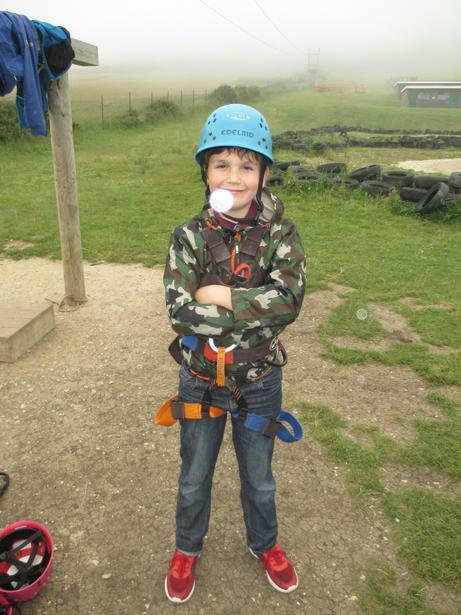 After a picnic lunch, we set off on our first activity: the Zip Wire! 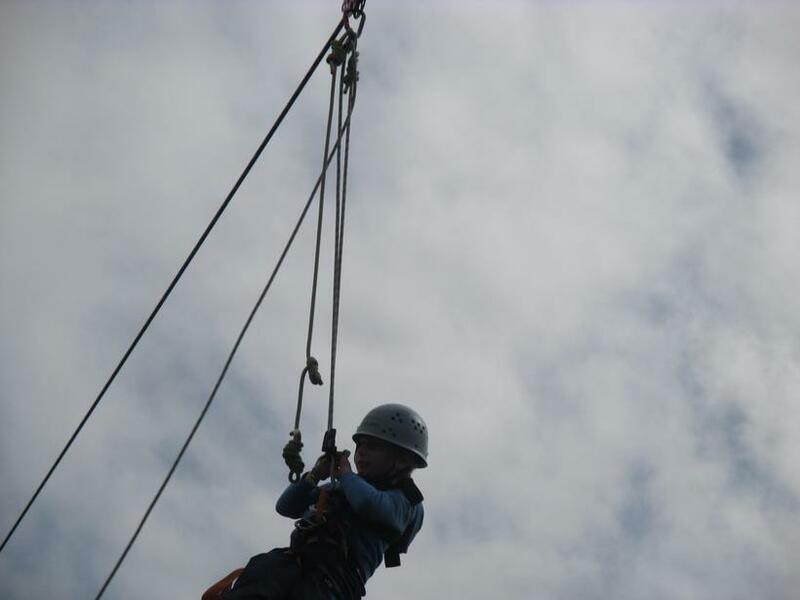 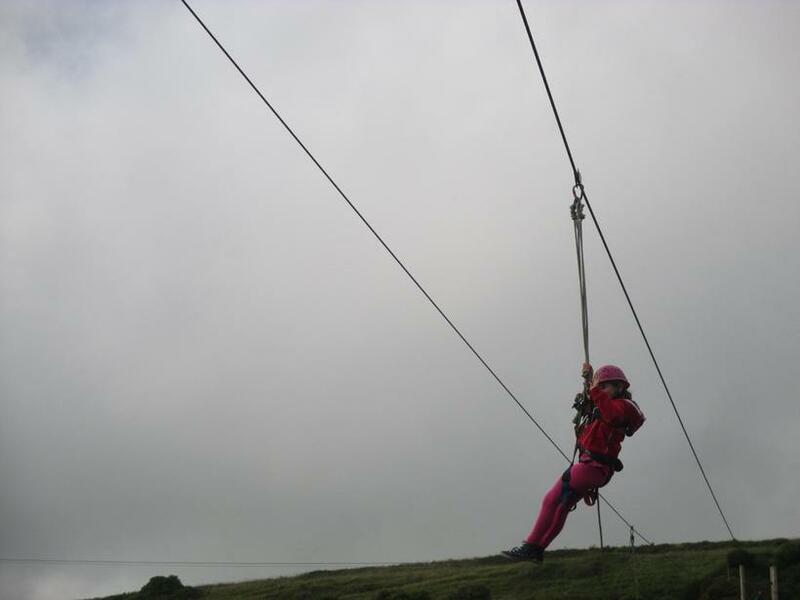 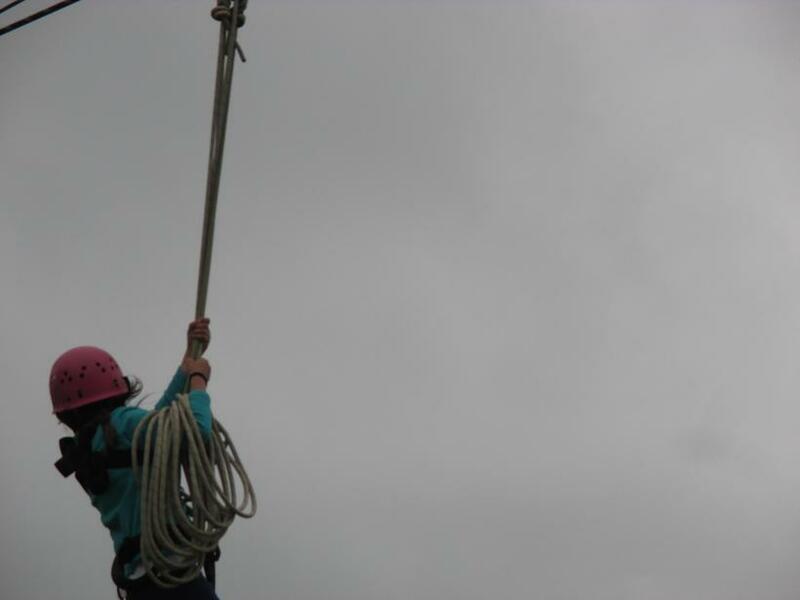 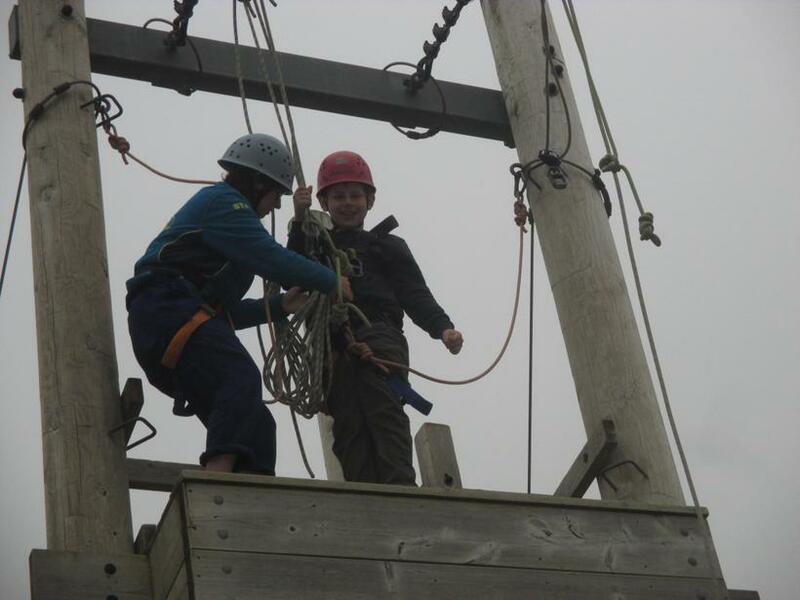 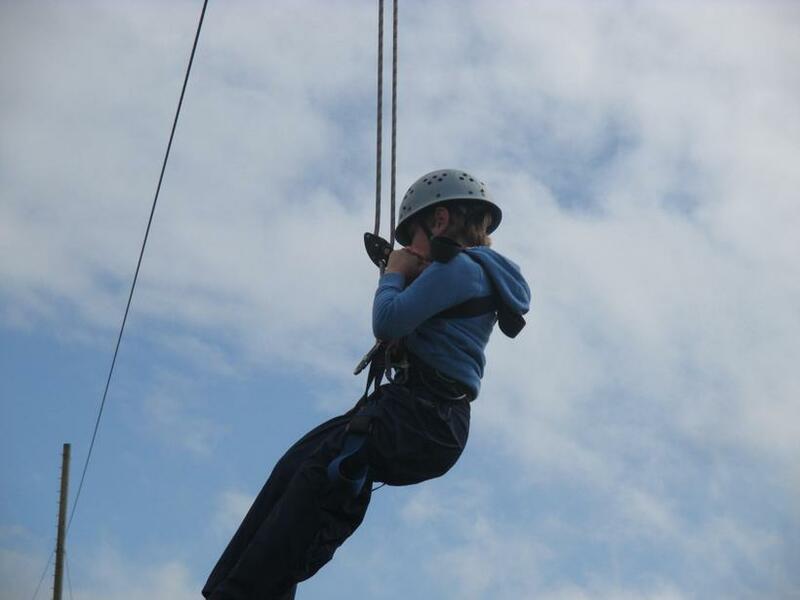 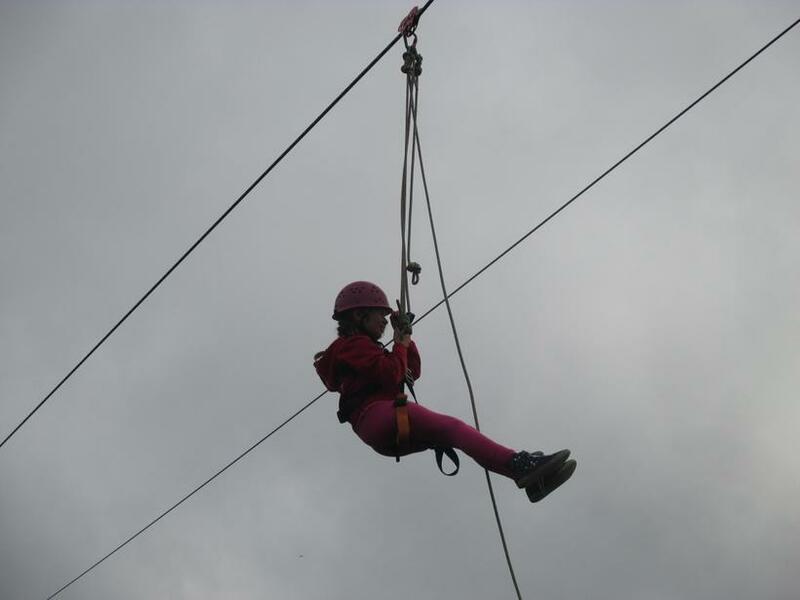 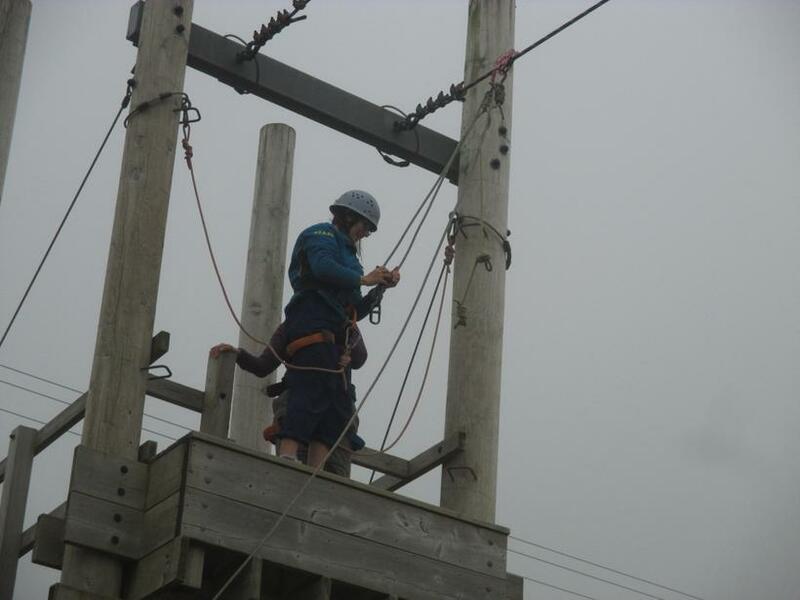 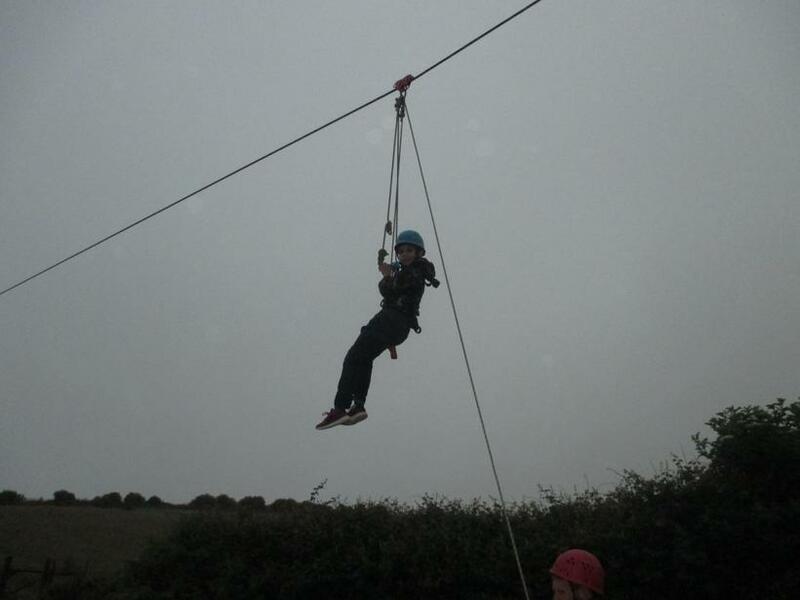 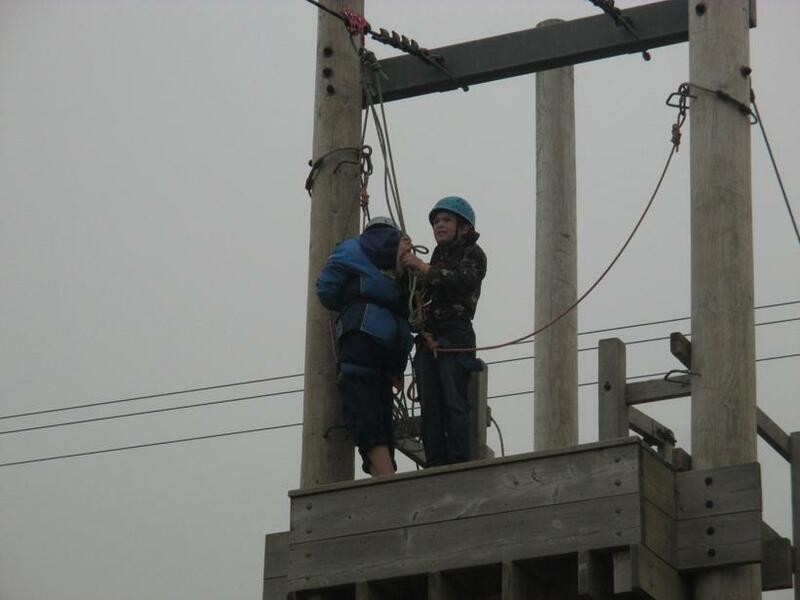 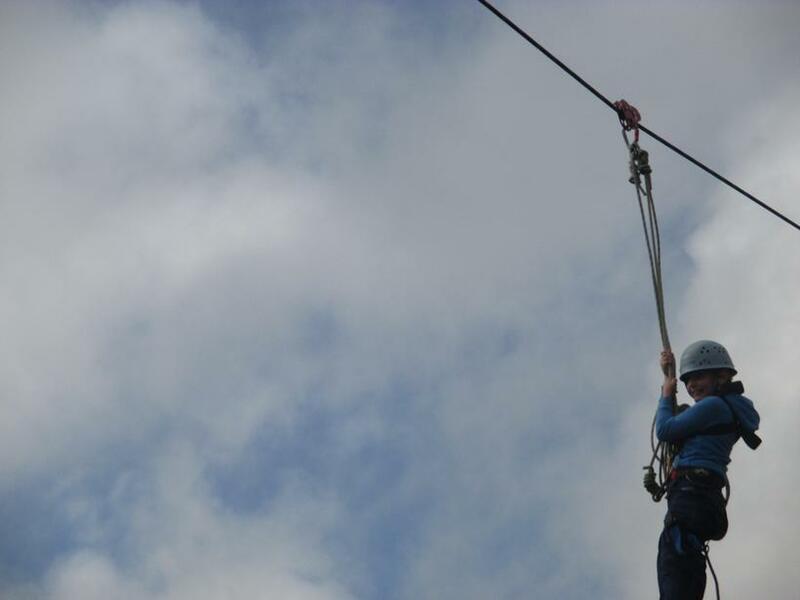 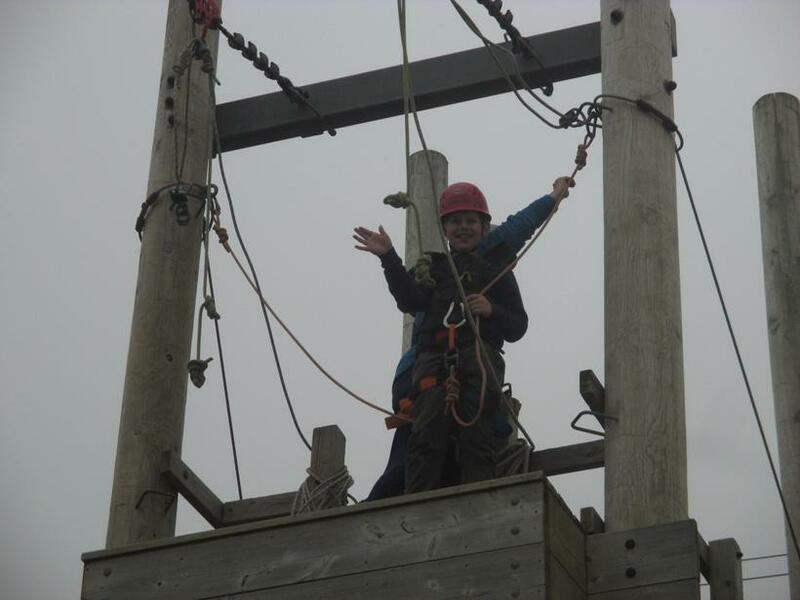 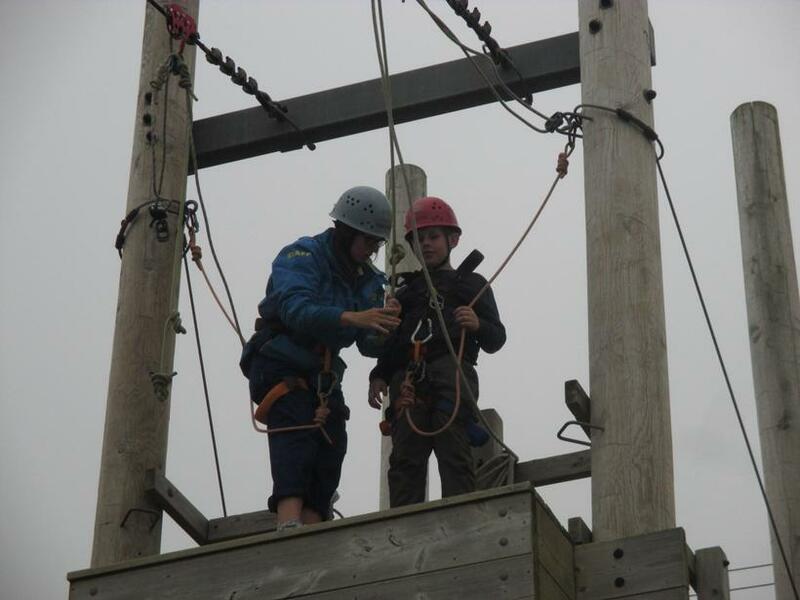 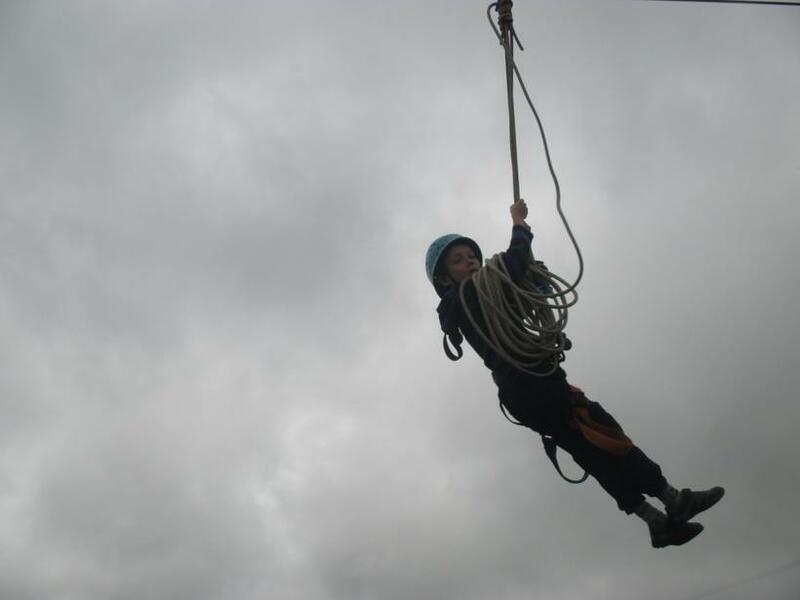 Year 4 proved that they really had a 'head for heights' with some taking to the wires several times (with their best Superman poses). 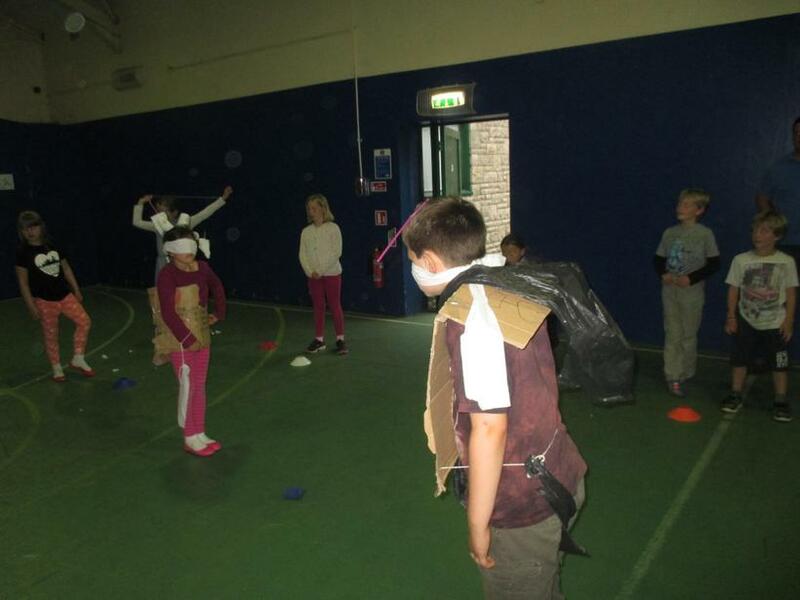 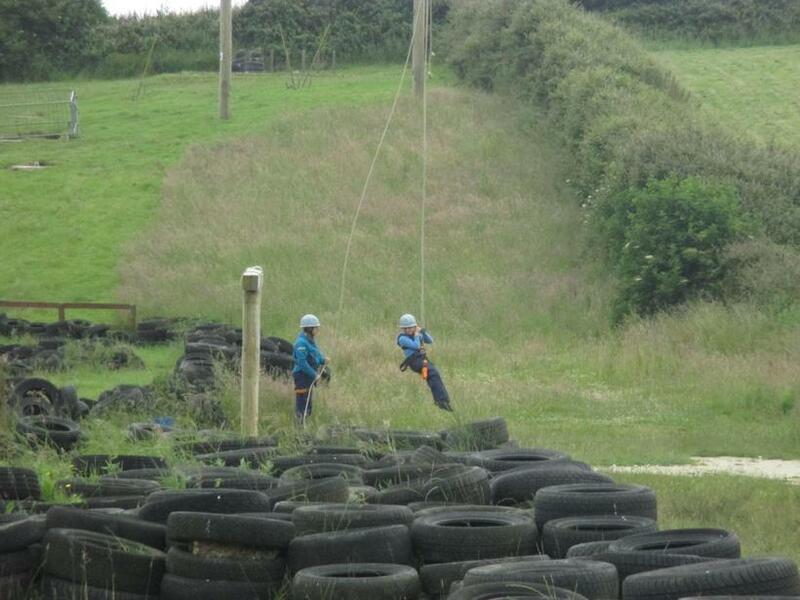 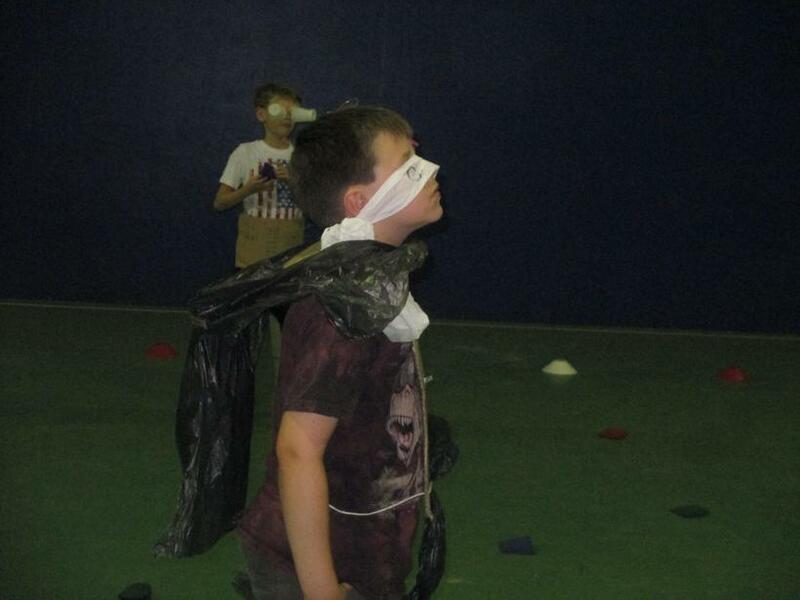 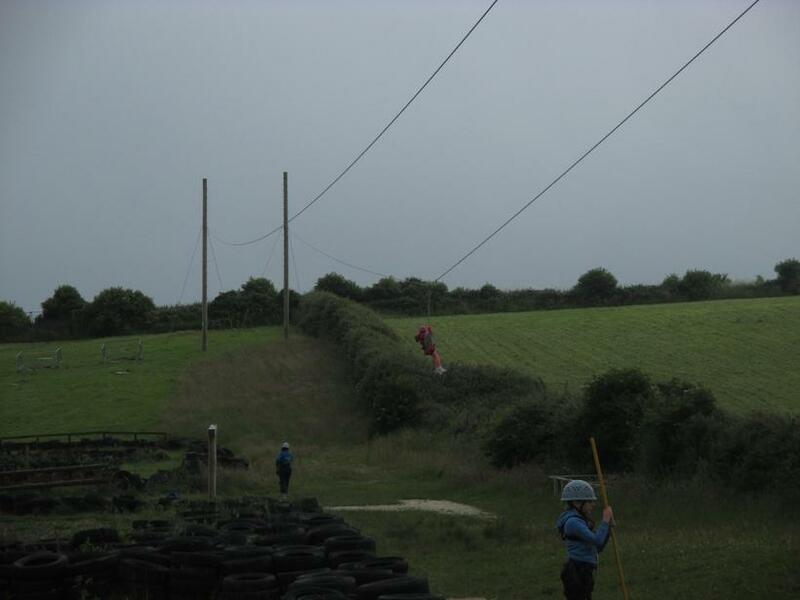 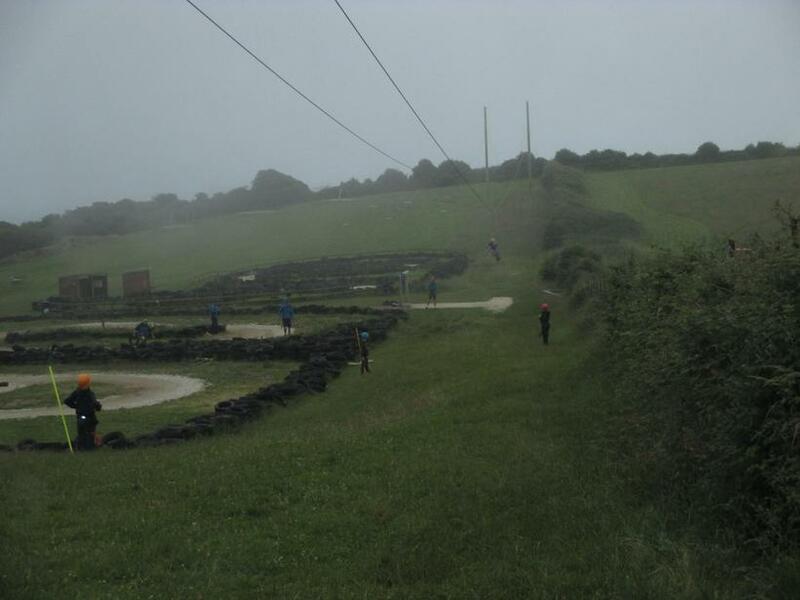 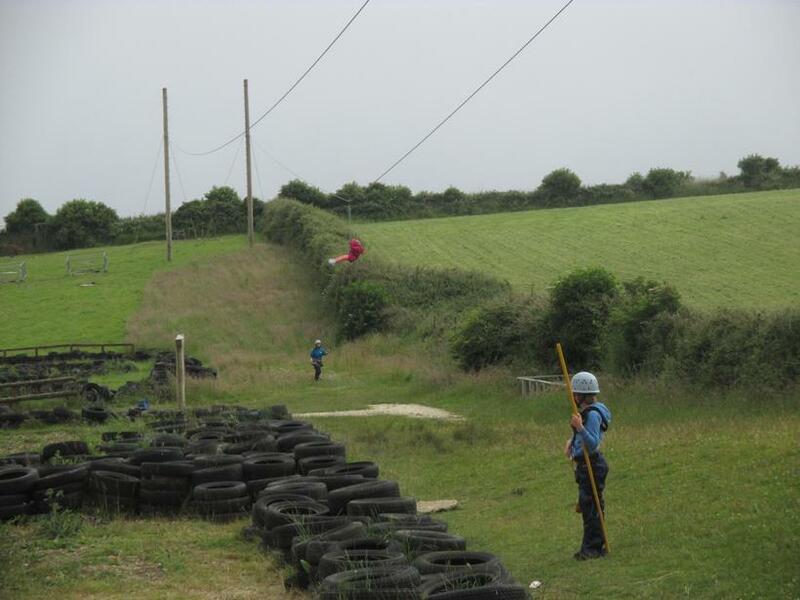 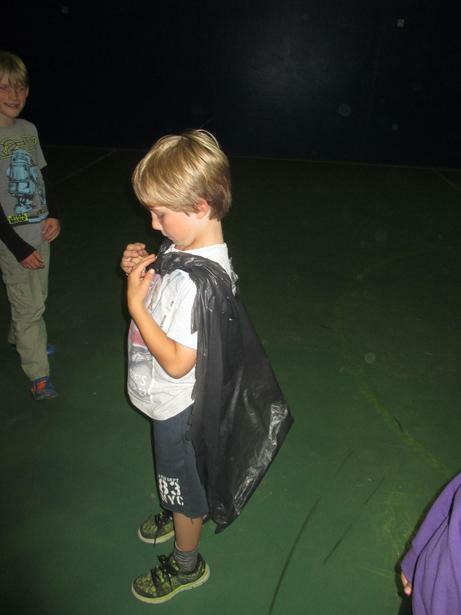 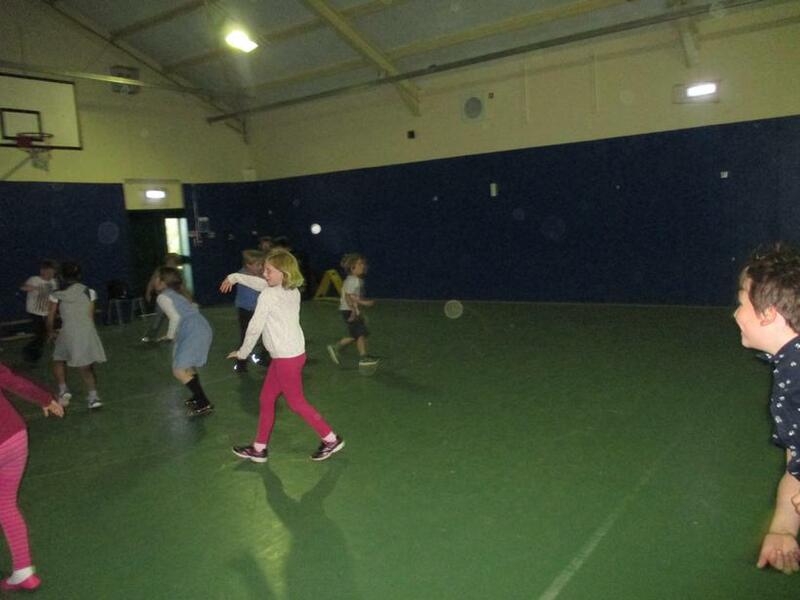 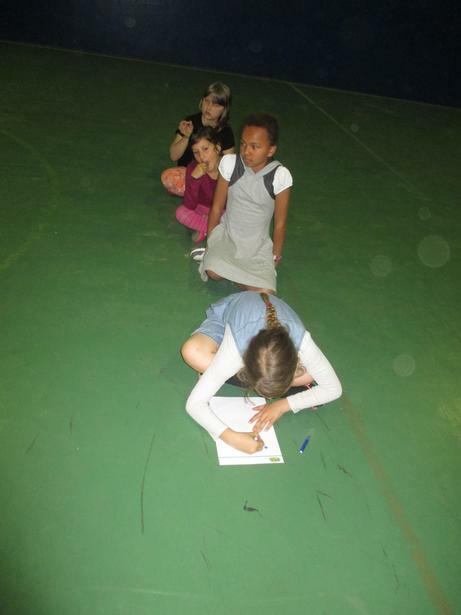 Then it was time for Aeroball - exhausting but great fun! 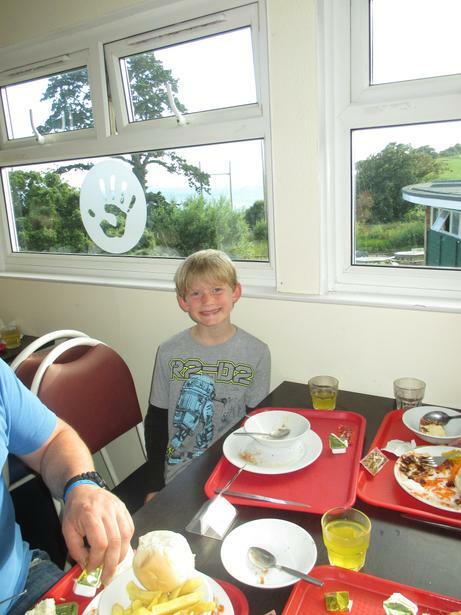 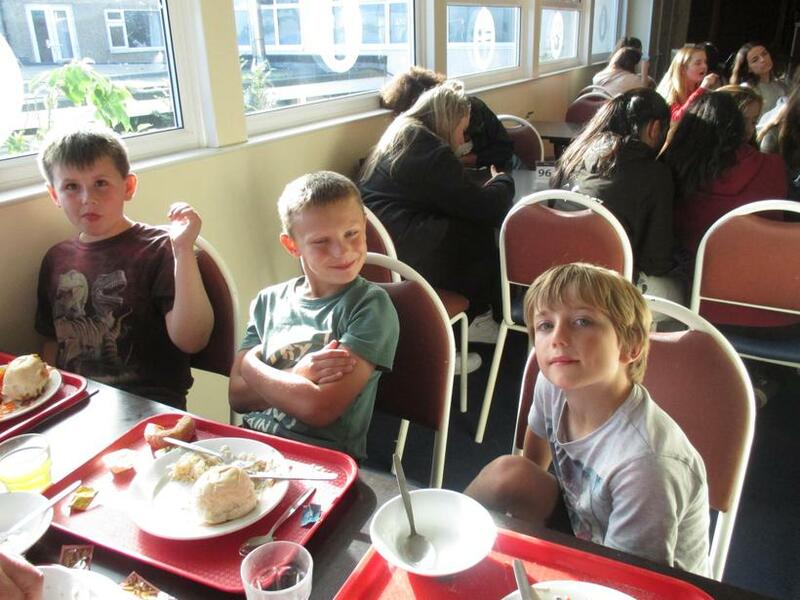 After a quick exploration of 'Little Wembley', we headed off for tea. 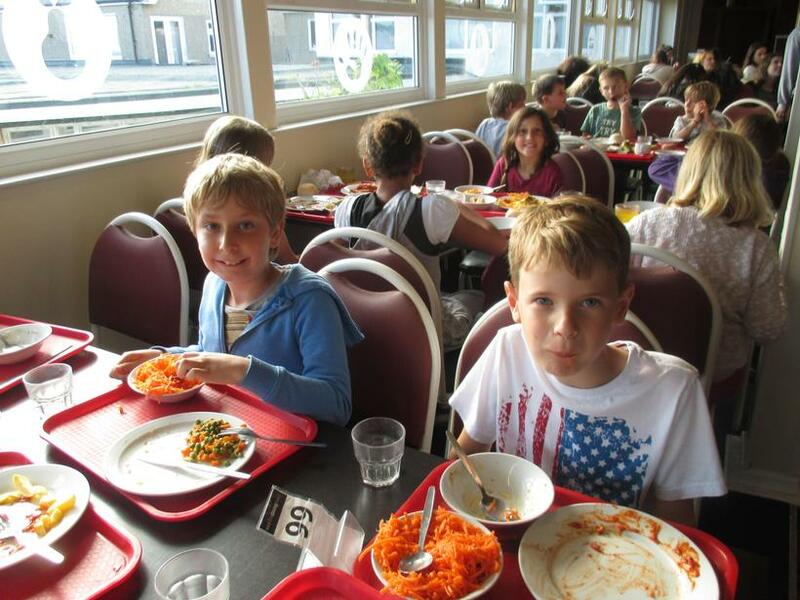 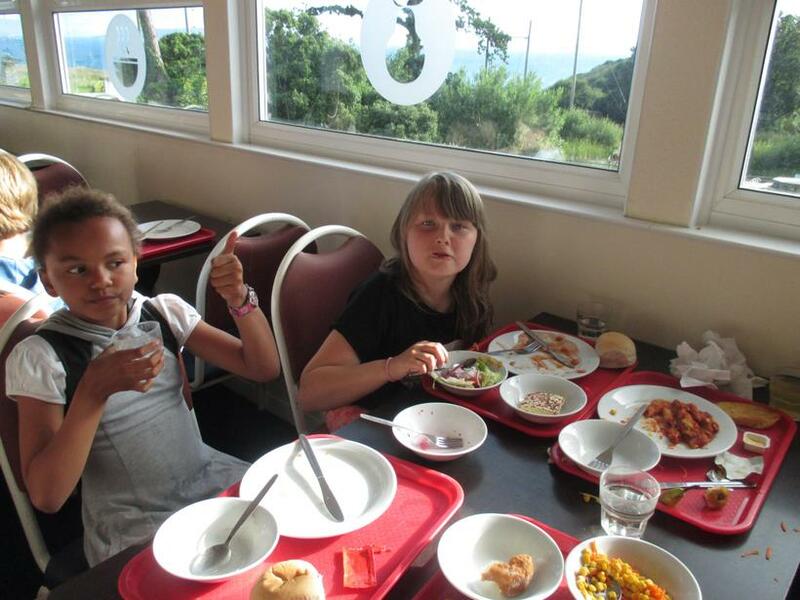 The salad bar was very popular as was the water machine! 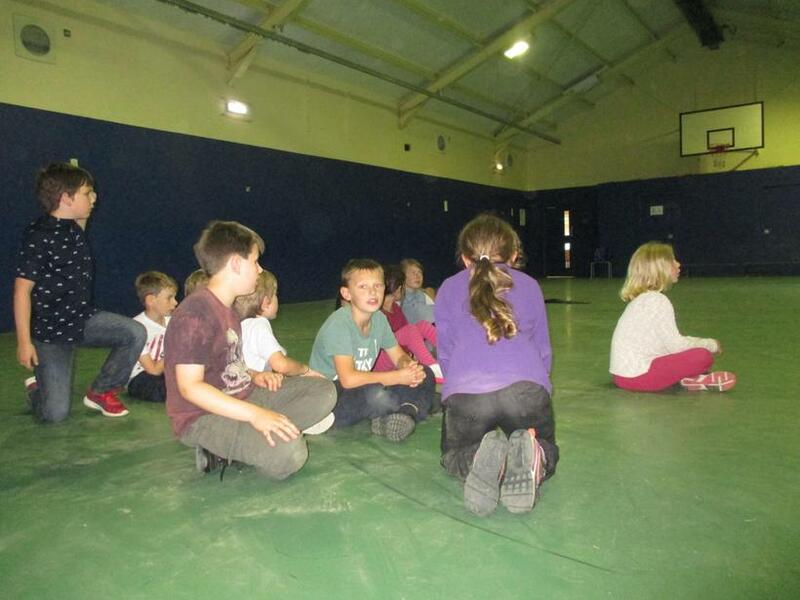 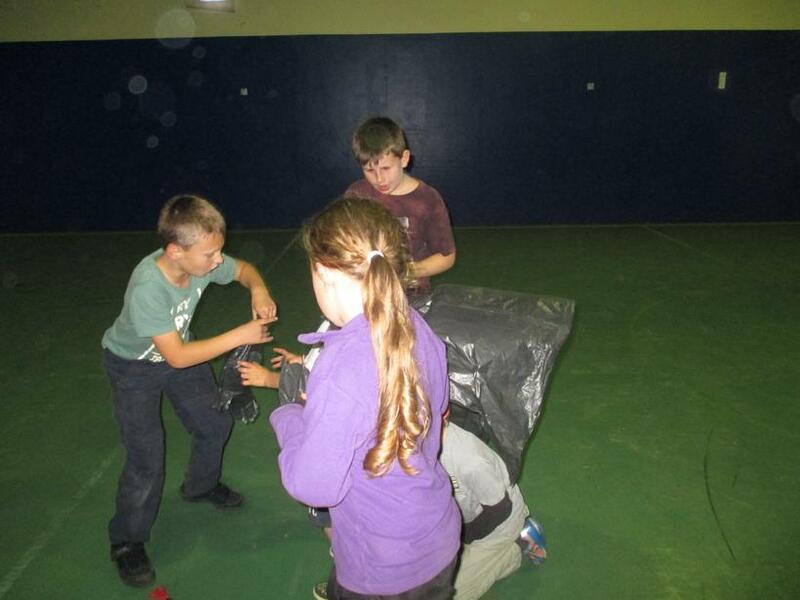 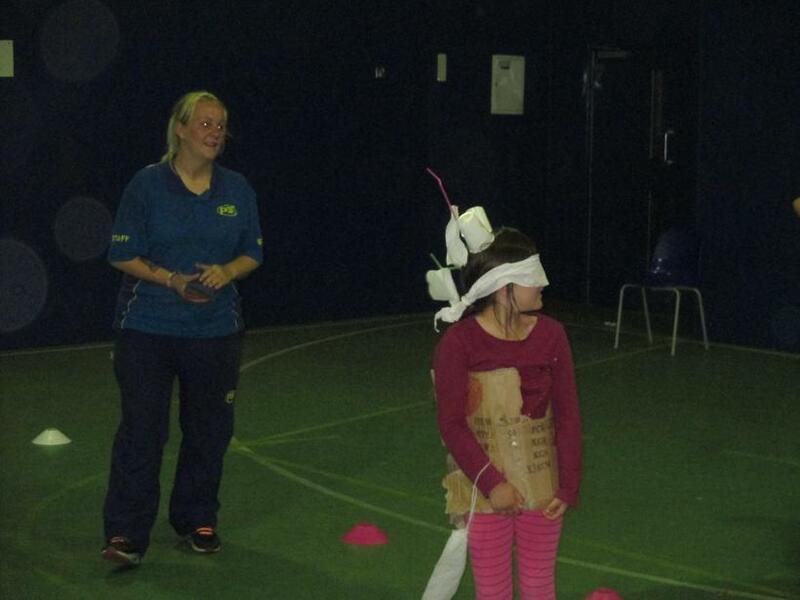 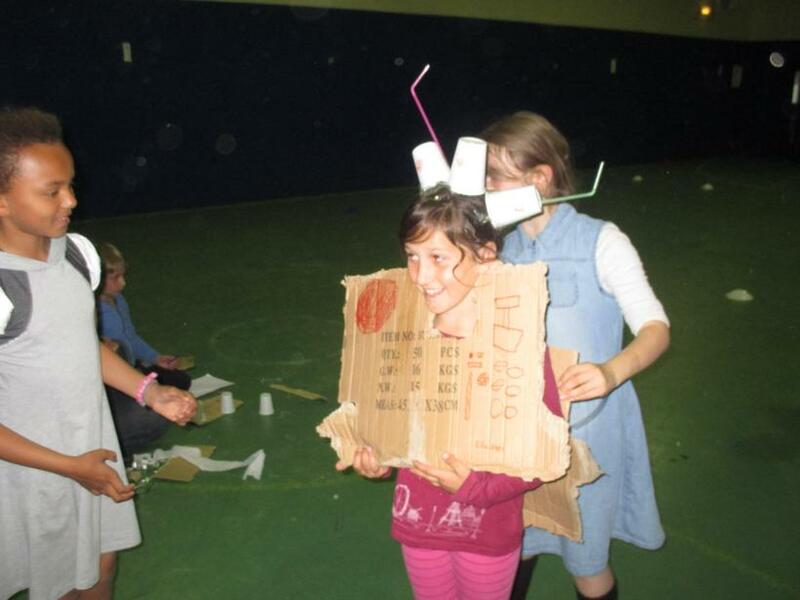 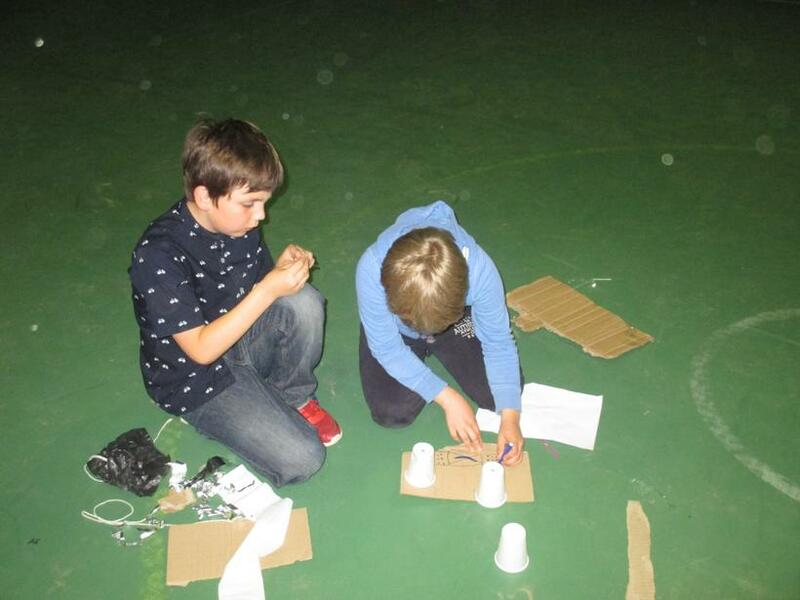 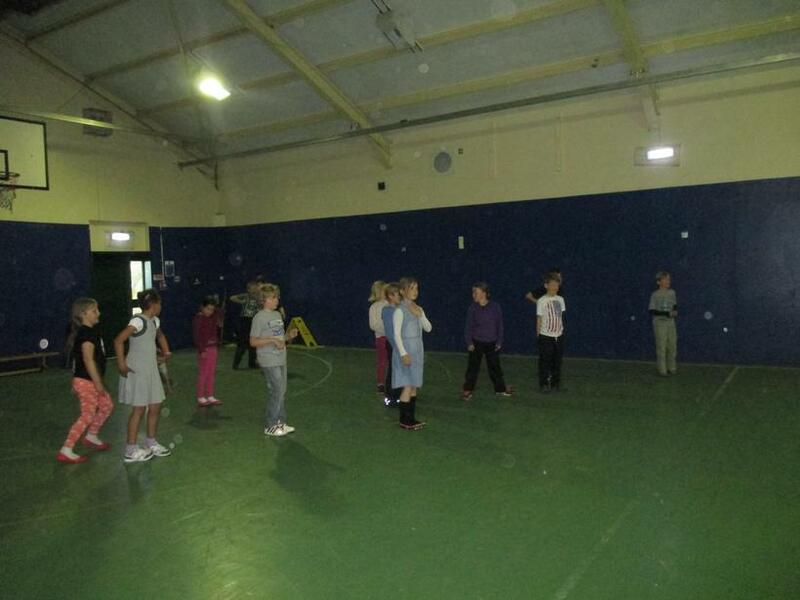 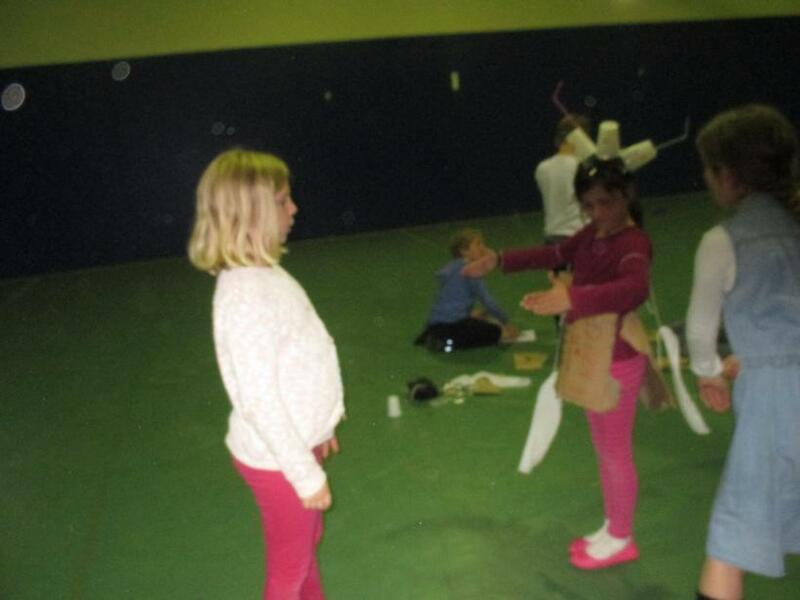 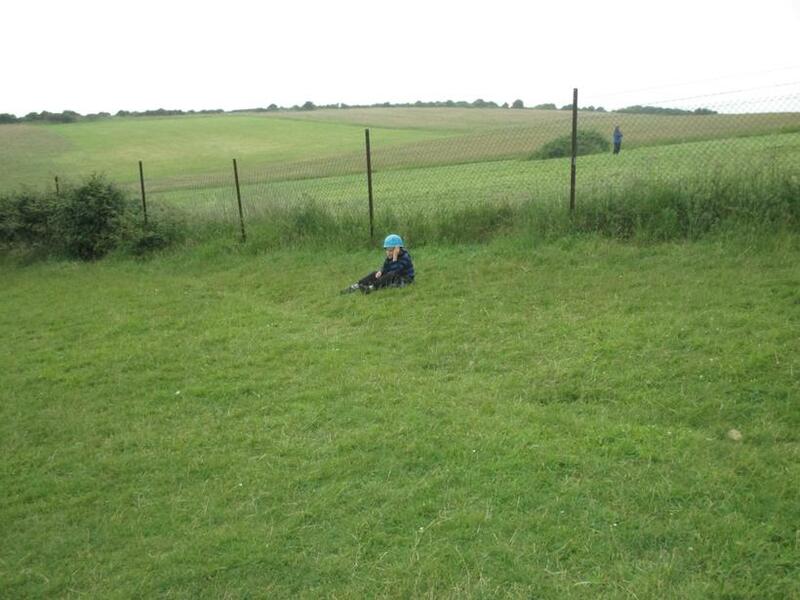 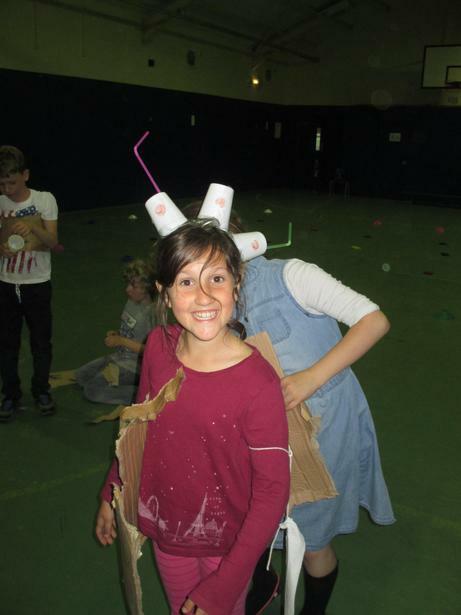 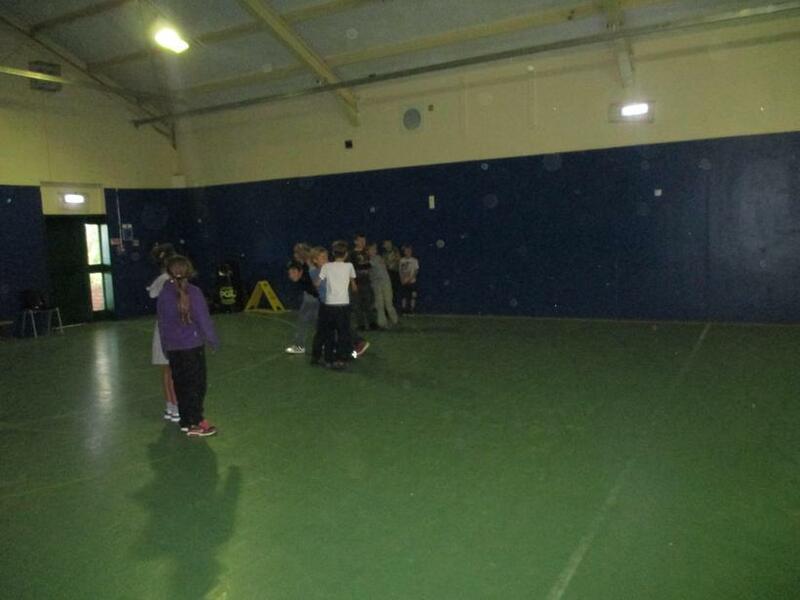 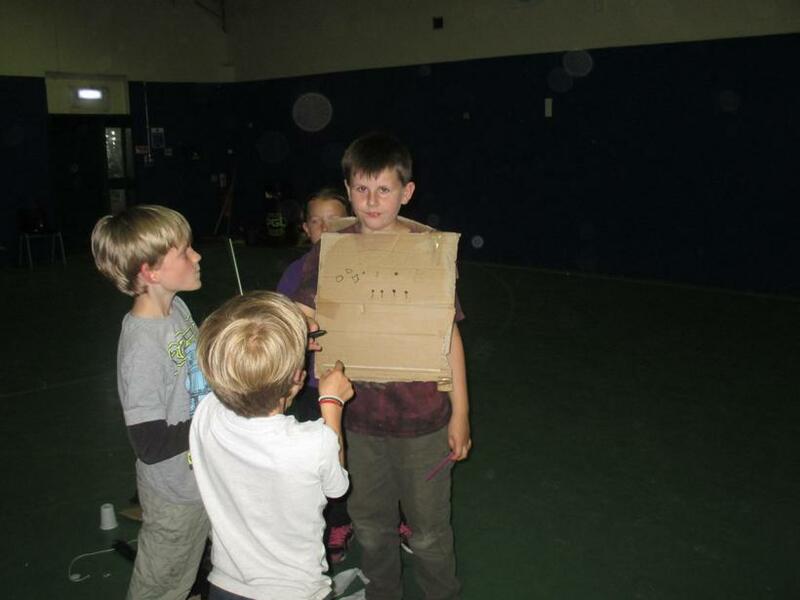 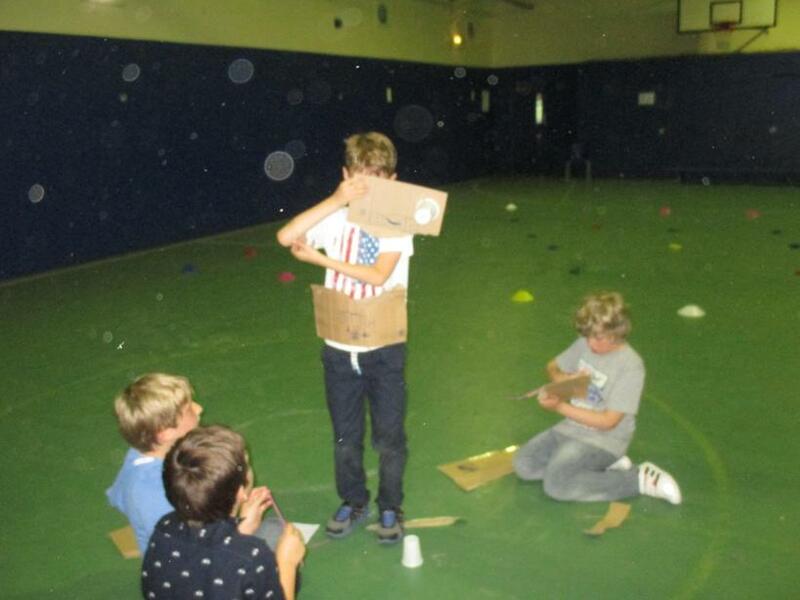 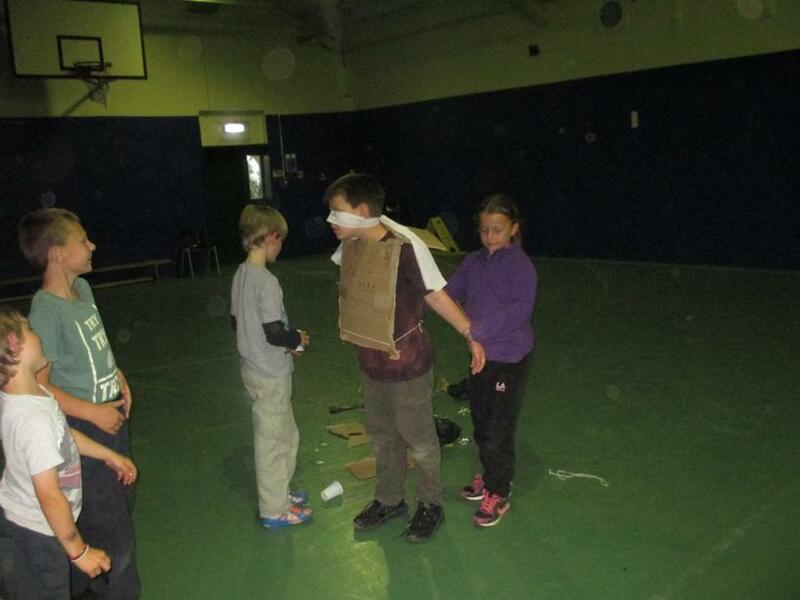 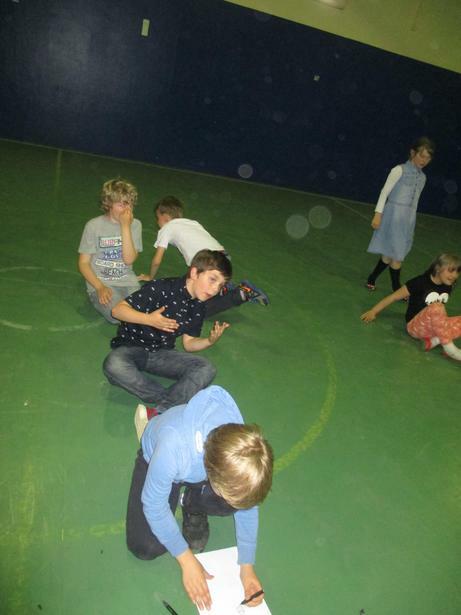 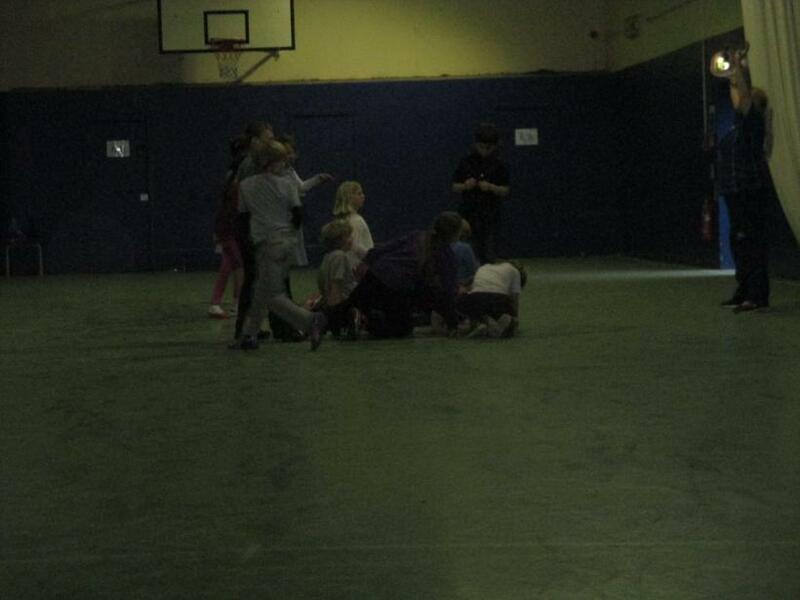 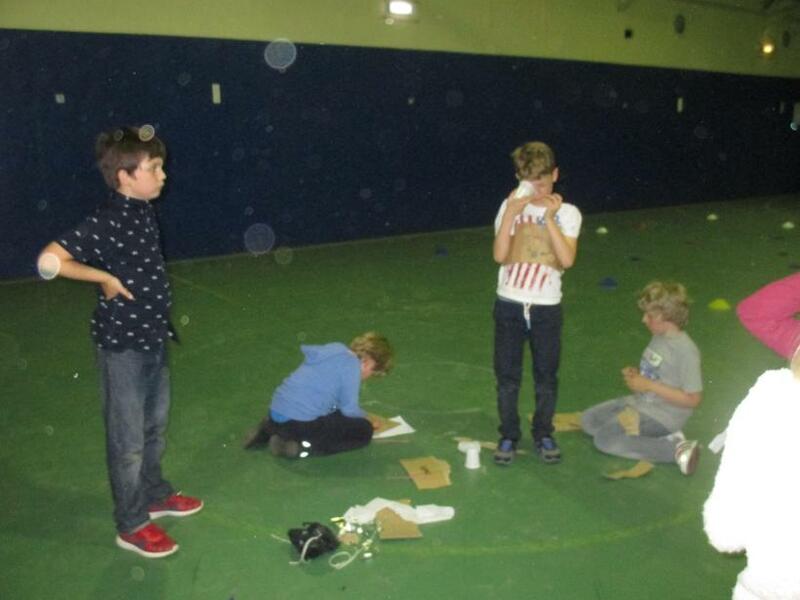 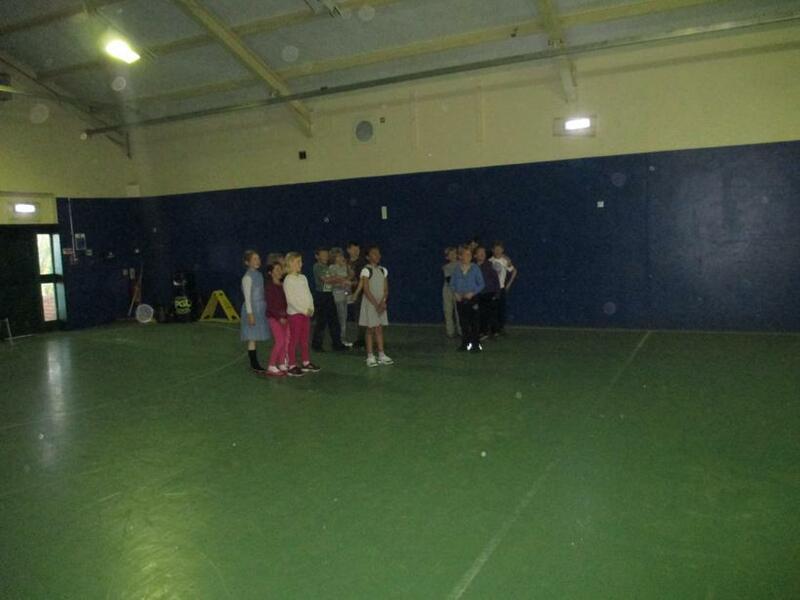 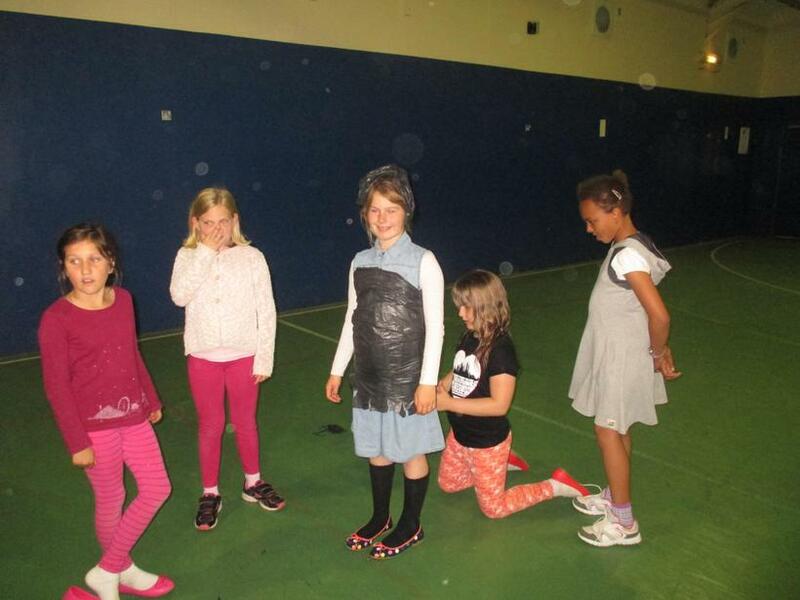 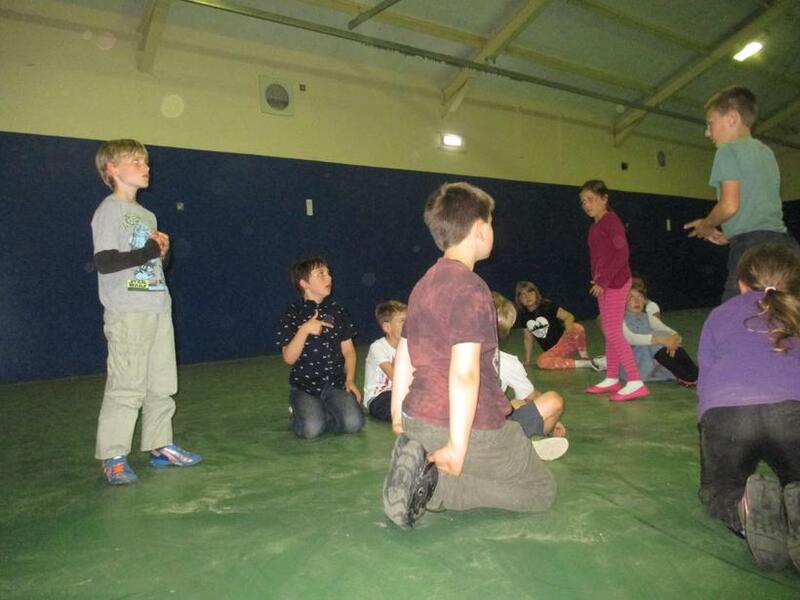 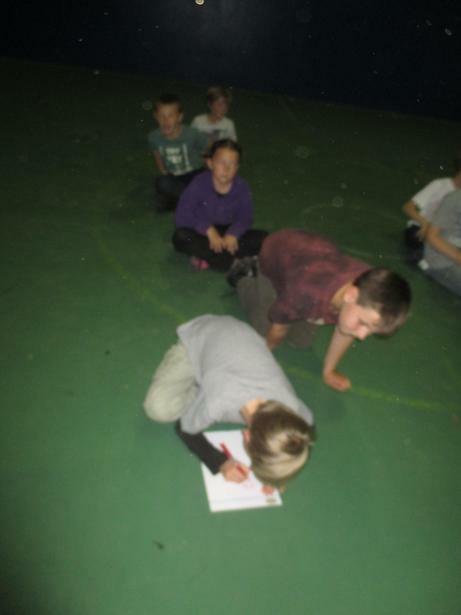 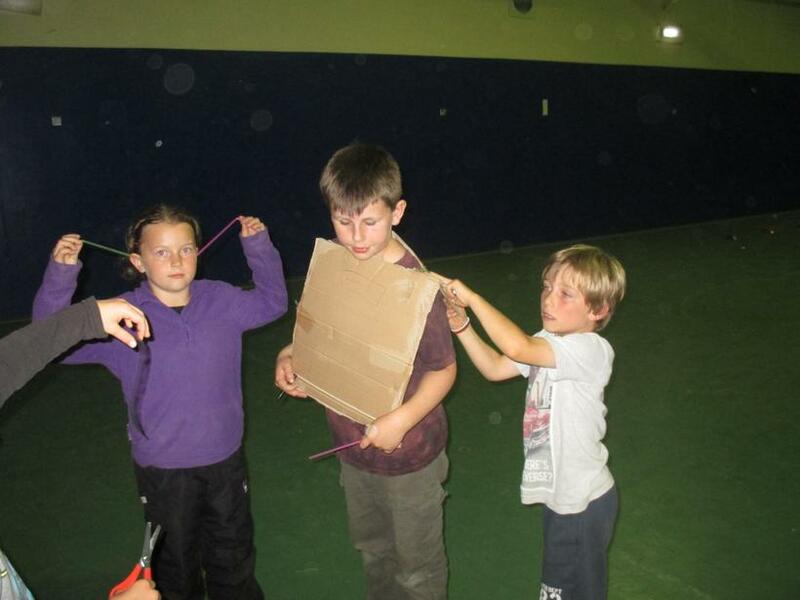 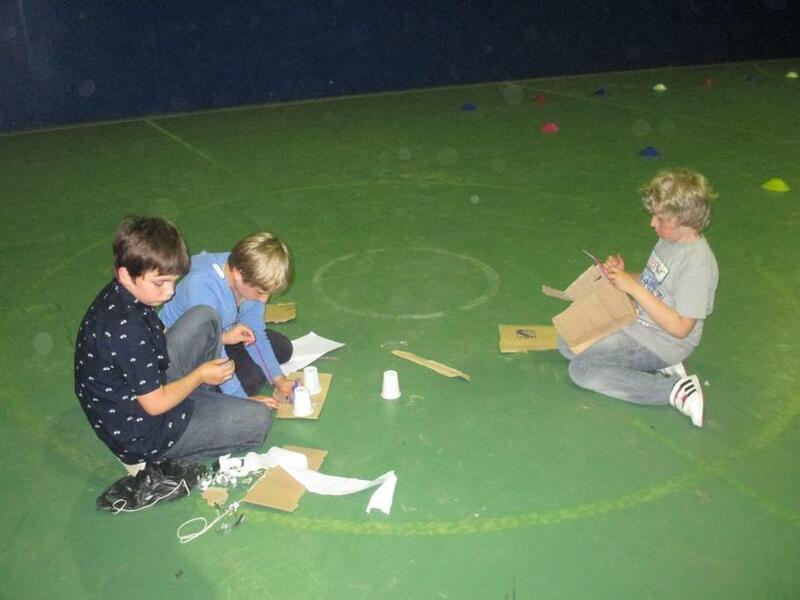 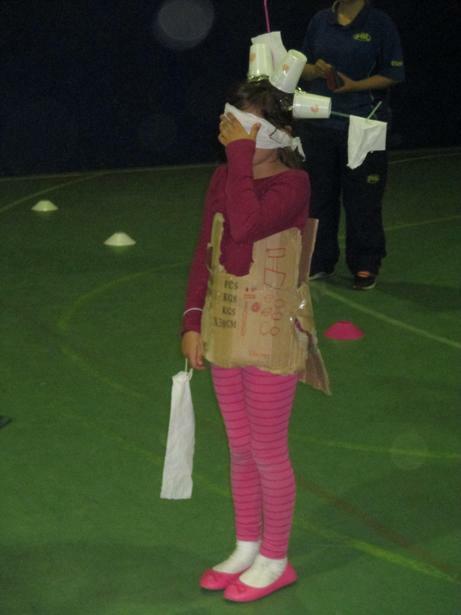 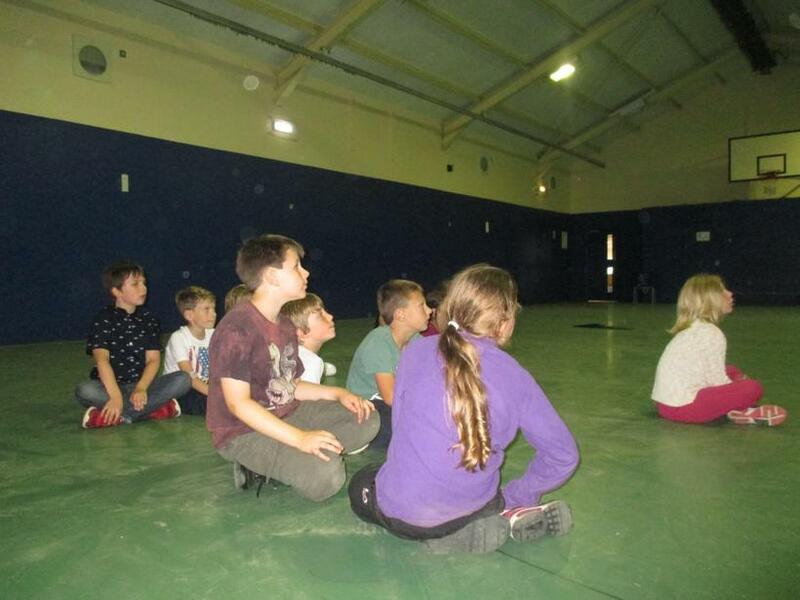 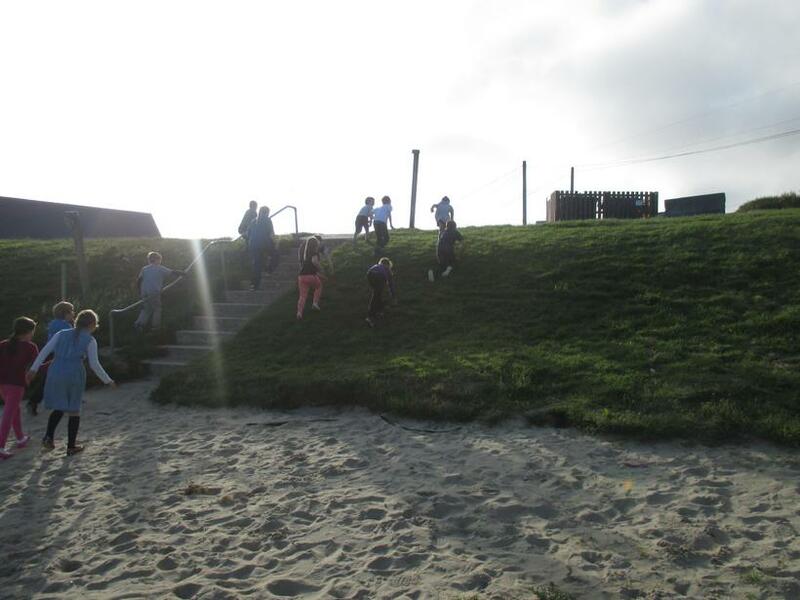 Immediately afterwards we headed to our evening activity 'Robot Wars'. 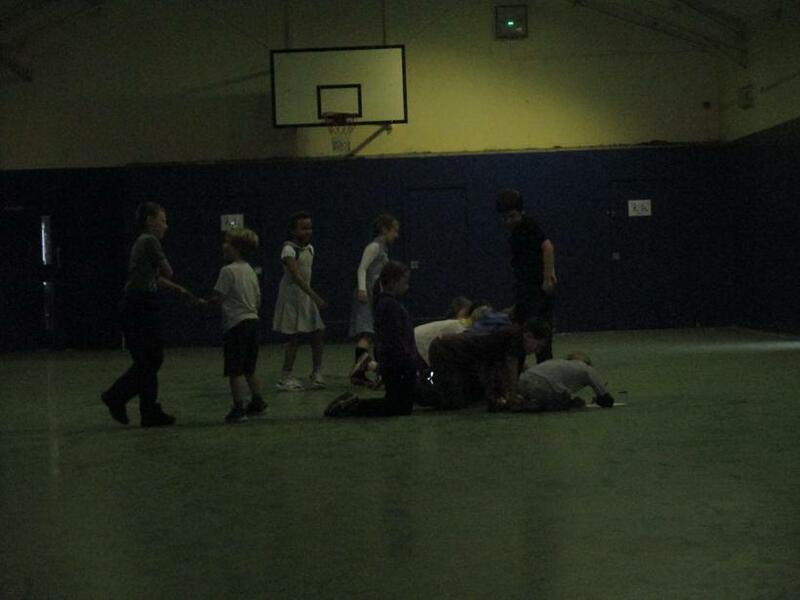 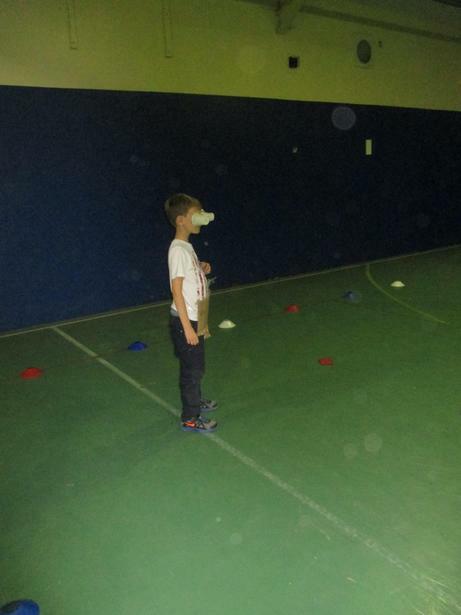 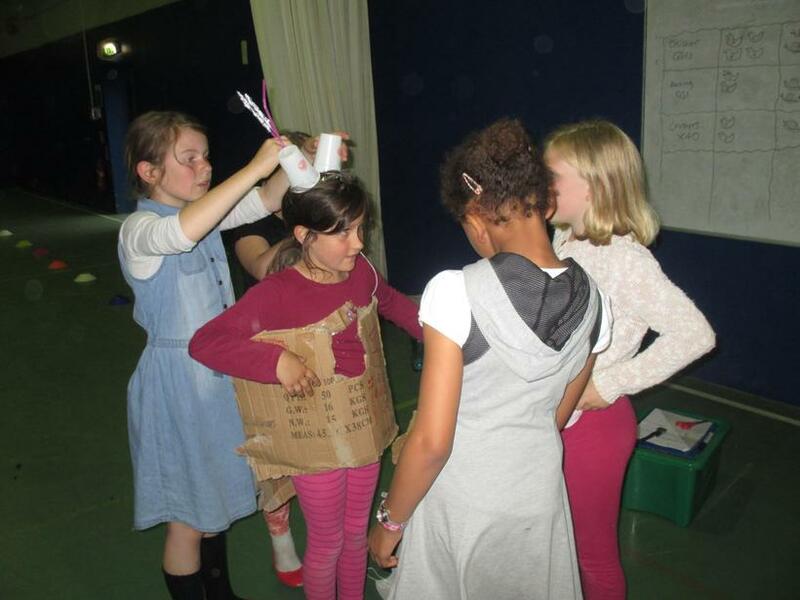 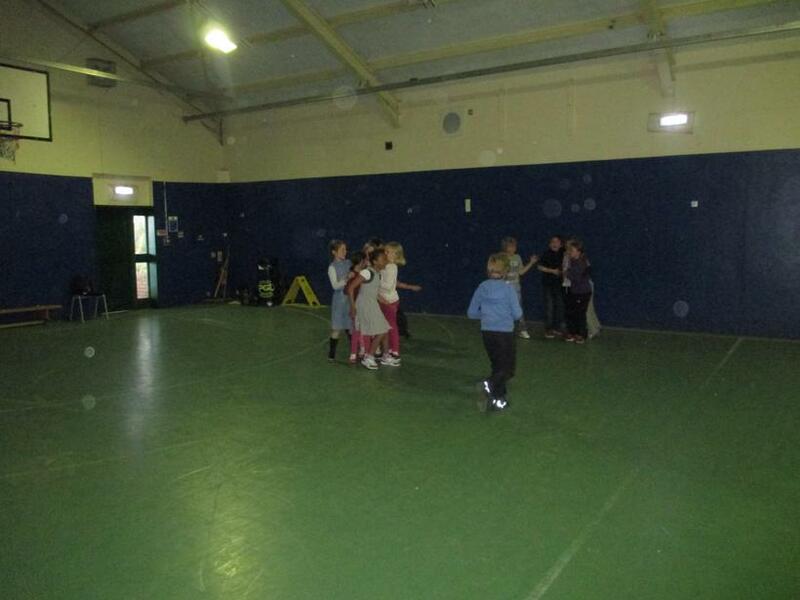 This was great fun and we worked really well in teams to defeat each others 'robots'.